The Maldives is the perfect surfing holiday destination. The best time to surf Maldives is from April until October on the island Thulusdhoo. It’s a beautiful quiet island with white sandy beaches, turquoise water, an amazing aquatic life and ideal spot to learn surfing for beginners. 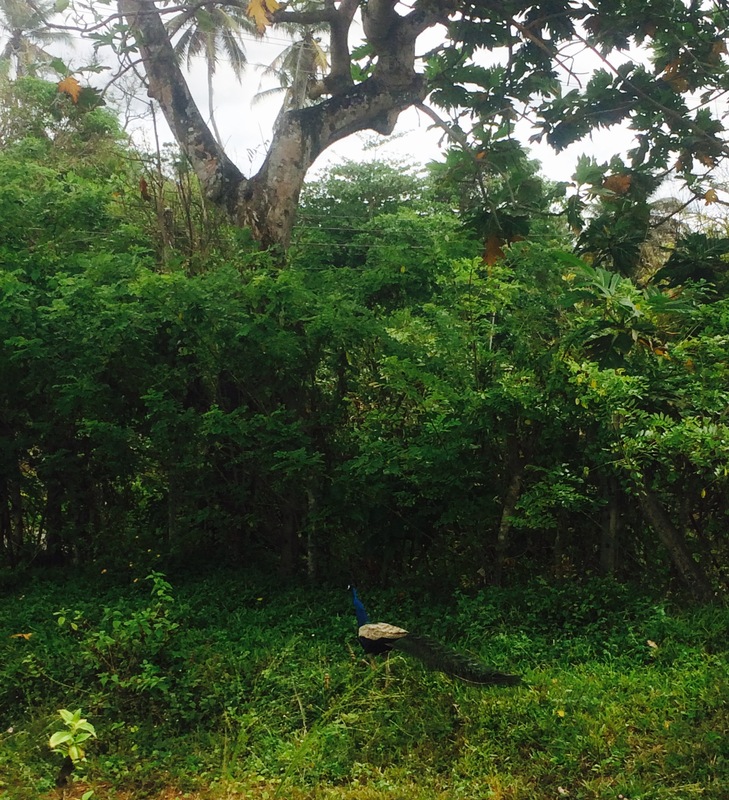 The Island is located just 28 km north of Male, which you can reach easily by speed boat or even the public ferry. 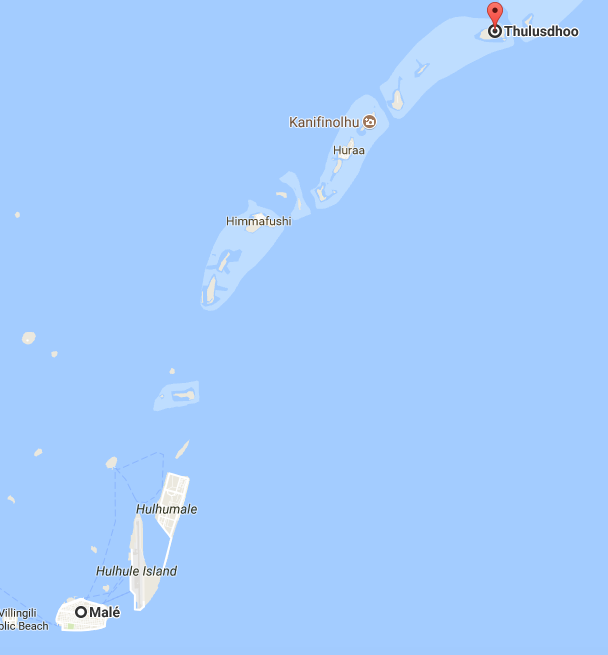 It is the capital of the Kaafu Atoll with a population of over 1400 people, mainly consisting of Muslims. That’s why alcohol is strictly prohibited on the island. 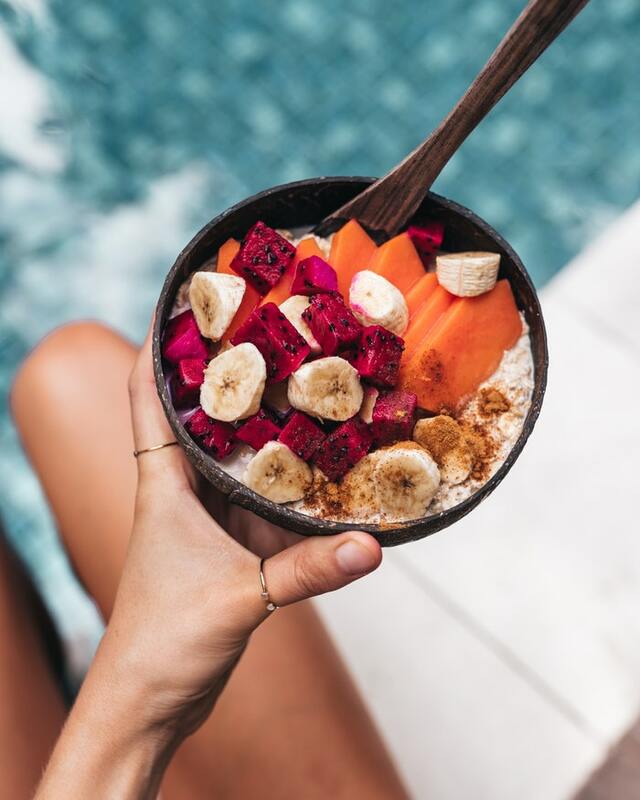 Ideal to detox your body! Thulusdhoo is especially popular between tourists because it’s considered the best Maldivian surf. 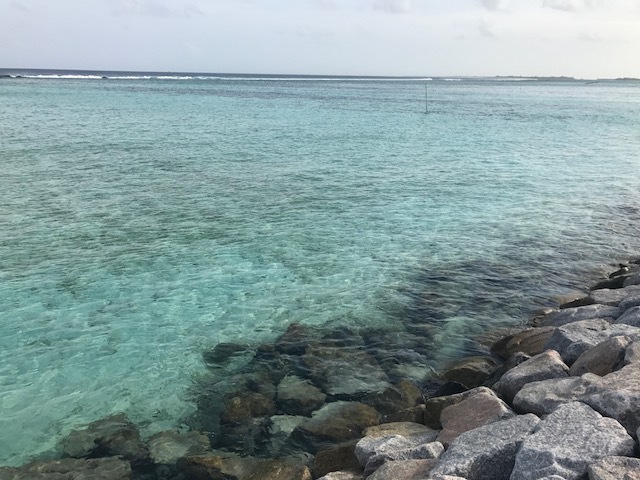 The coral reef surrounds the island and protects the crystal clear lagoon providing unlimited surfing conditions almost the whole year. The local surfers named this surfing spot “Coke” because of the Coca-Cola factory which was built here in the 80s. The island even offers Maldives surf camp. If you are planning your Maldives surf trip then Thulusdhoo is an ideal destination. It’s not only a surfing paradise but it also offers plenty of various water and adventure sports. Just by walking along the shore you will discover exotic fish, rays and turtles. Some are even lucky enough to see dolphins from their hotel rooms. Snorkeling is one of the must does in Thulusdhoo if you want to explore reef with turtles, skates, sharks and other unusual underwater species. Additionally it has a good infrastructure: There are several grocery shops, a pharmacy and even a hospital. 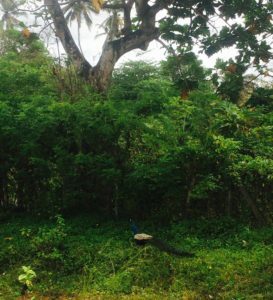 Thulusdhoo is very a touristic spot that’s why they love $USD$ here. 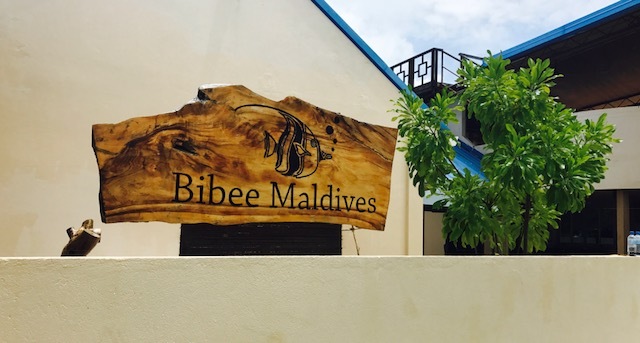 Every guesthouse except it nevertheless if you go to the little shops to get some snacks or toiletries it’s better to have Maldives’ Rufiyaa in your wallet. You can reach Thulusdhoo within 25 minutes from Male by speed boat. The easiest way is to ask your guesthouse to organize it for you. It will cost you around $50. 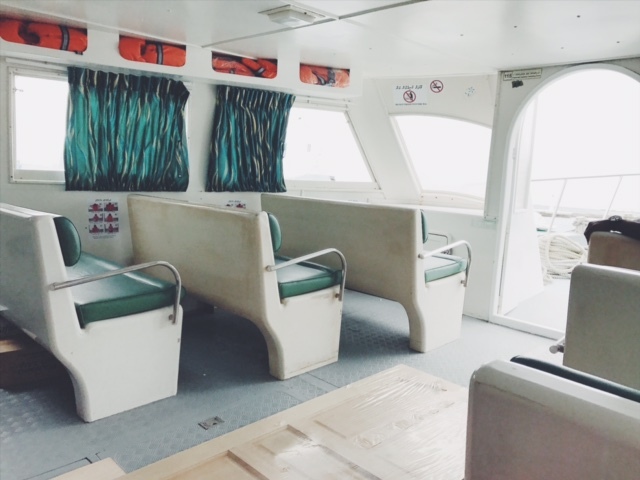 A Public ferry is available from Male at 15:30 every day, except Friday (To be sure ask your guesthouse because they love to change their schedules at Maldives). The ferry’s name is Tharika-2 and it leaves from the jetty terminal between the fruit market and the presidential jetty on Male. Tickets cost $3 one way and it takes 1,5 hours to get to your dream destination. 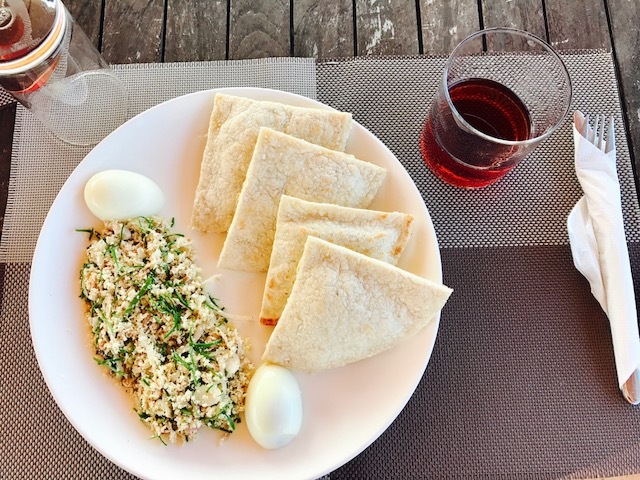 Thulusdhoo offers various guesthouses where you can spend your memorable honeymoon or active surf vacation. 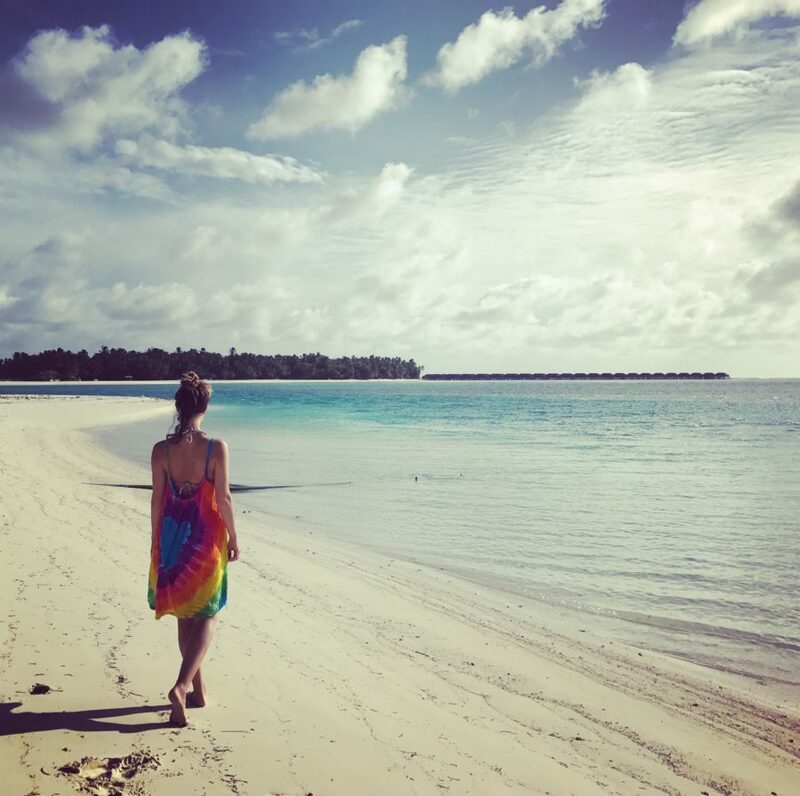 We stayed at the modern Maldives surf resort located just next to the incredible crystal clear water with heavenly beaches, Canopus Retreat. 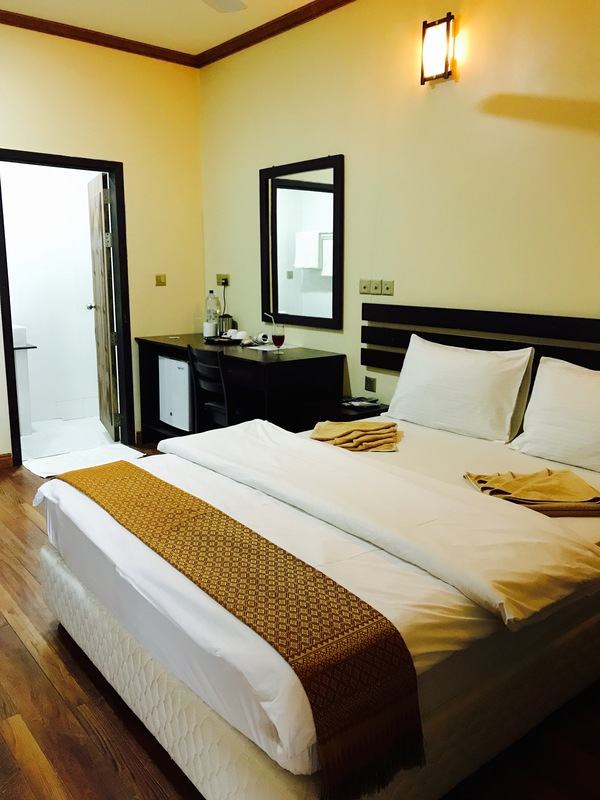 It has 12 trendy rooms with lovely furniture, TV with cable channels if you get bored and of course the essential air conditioner. There is free Wi-Fi access throughout the property, which works pretty good considering the fact that Thulusdhoo is a small island in the middle of the Indian Ocean. The hotel staff picked us up from the ferry terminal at Thulusdhoo and welcomed us with delicious fruity drinks at Canopus Retreat. We stayed 2 nights in a Standard Double Room and then moved to the Deluxe Double with Sea View. In my opinion you shouldn’t try to save some pennies and get the room with the private balcony and gorgeous sea view. The Standard Double Room is not as cozy, doesn’t have windows and is pretty cold at night because of the AC. It’s fine if you want to stay for just few nights and then continue traveling but for a longer period the spacious Deluxe Double will be the best choice. You will immediately feel the perfect getaway vibes, especially if you are with your loved one. Tip from me; take your own toiletries with you, the guesthouse doesn’t provide with any shampoos or hand soaps. Furthermore there is only one towel per guest. 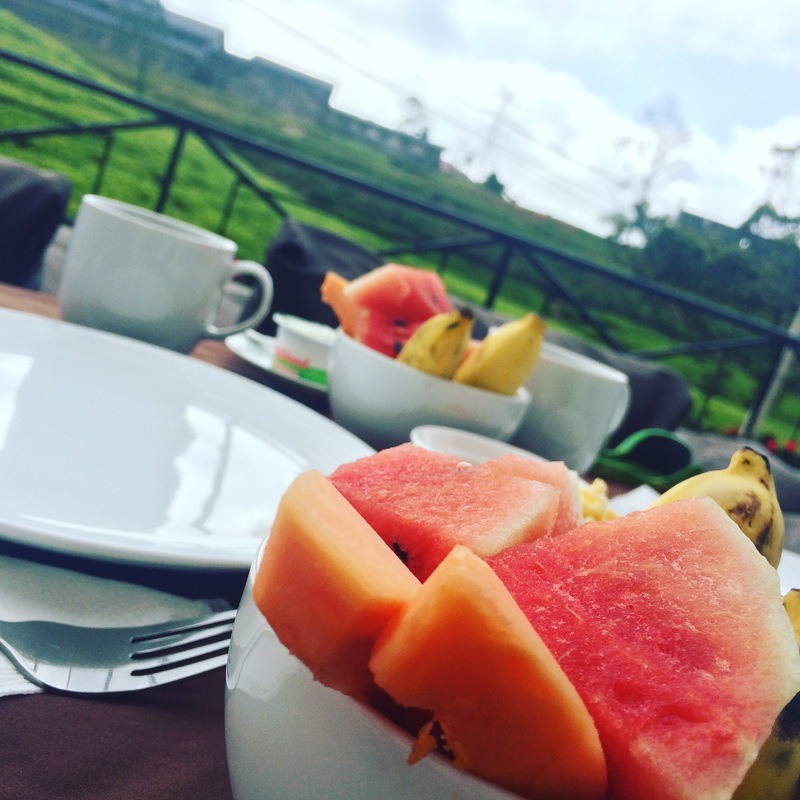 In the morning you don’t need to think about breakfast because it’s included in your booking. Meal servings are from 7:30-9am, you will be presented with a simple but lovely plate served with eggs, sausage, toasts, jam, butter and fruits. As a beverage you will get delicious fruity drink and coffee or tea. 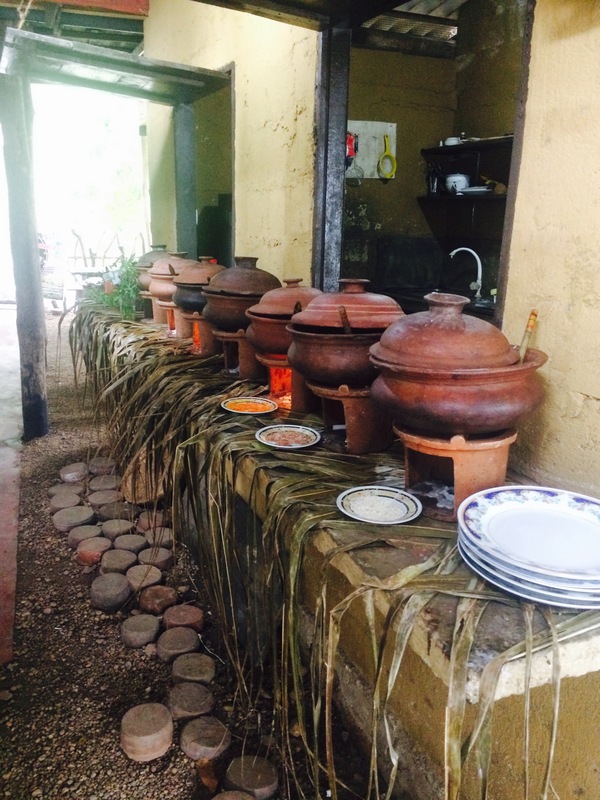 There is also an indoor and outdoor restaurant in this small guesthouse where you can enjoy lunch or dinner. The Canopus Retreat staff can even prepare a romantic dinner on the beach next to the calm water. The trick is that you never know what they will serve you because there is no menu. The only way to figure it out is to ask the staff. Sometimes it was complicated to make an order and we didn’t always get the precise information on what was available. Nevertheless portions were very magnanimous and every meal was delicious. We were very happy to see pasta and fries again after consuming only rice and noodles for one week on the other island. Definitely taste the pasta with tomato sauce, tuna fillet and refreshing salad. My personal highlight of Canopus Retreat is it’s spa on the second floor. I was surprised when I went there and discovered the tranquil oasis with relaxing music and odor of essential oils. 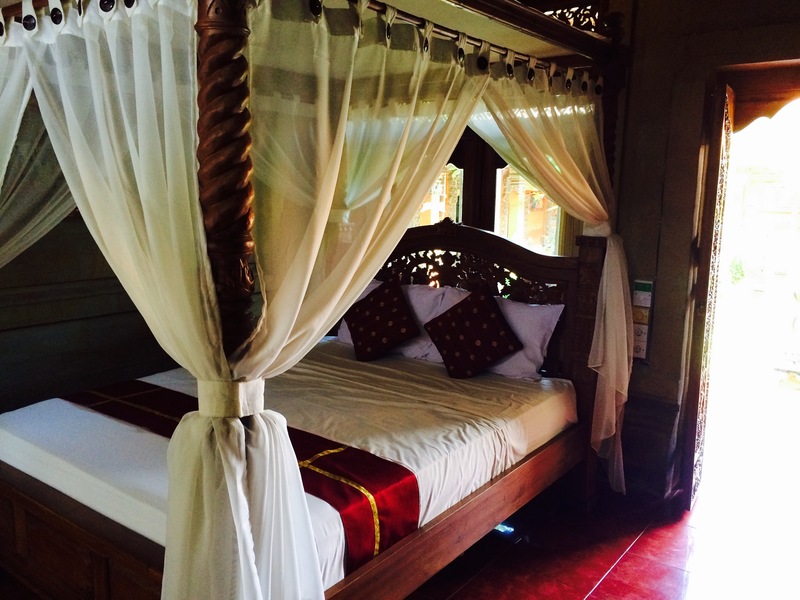 The room was spacious and decorated in a traditional but modern Indonesian style. It’s possible to have a couples’ massage or a private one. 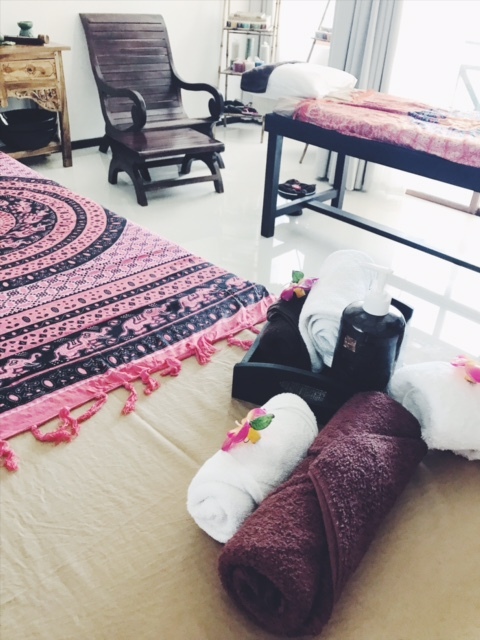 I experienced the private Traditional Massage for 60 minutes which I would highly recommend to everyone who wants to enjoy the deep relaxation of a full body massage. I was laying on the comfortable massage table next to the balcony enjoying an amazing colorful ocean view. There are various water activities in the area. As I already mentioned before snorkeling is must do in Thulusdhoo. 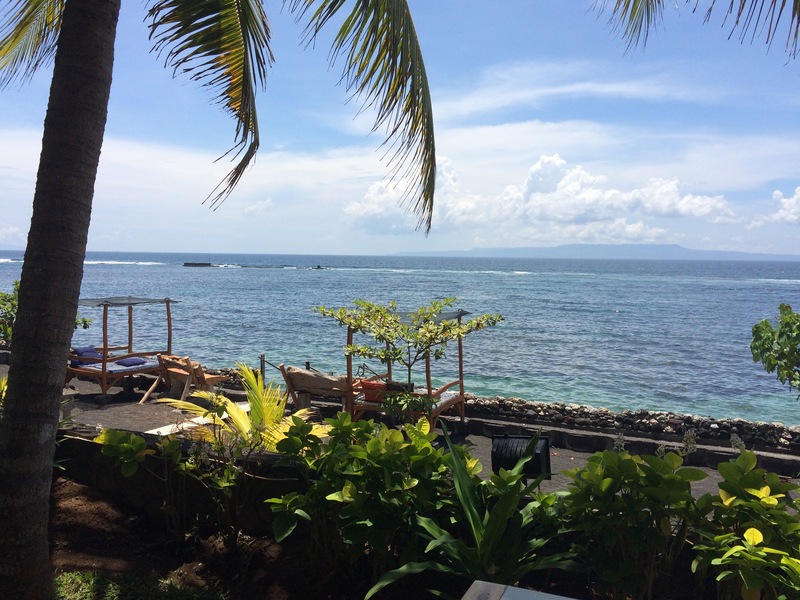 You can get snorkeling equipment from Canopus Retreat and explore the calm bays full of reefs and exotic fish. We decided to book a proper snorkeling and sandbank trip to explore the deep underwater flora and fauna of the Maldives. Snorkeling is always fun wherever you go, you might even see peaceful sharks, manta rays and turtles. 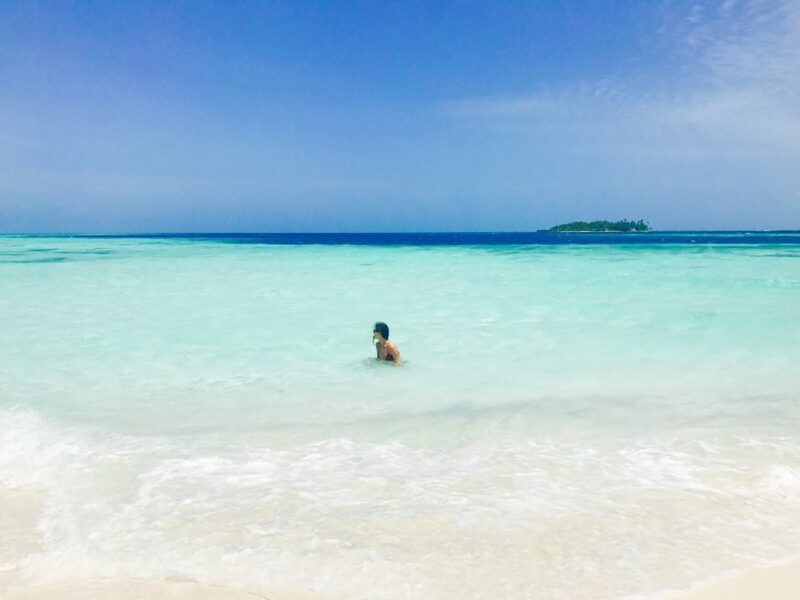 The sandbank looks as beautiful as you know it from all the spectacular Instagram pictures. The ideal location to immerse into the surreal Bounty advertisment and take a couple of new Facebook show-off photos. To keep us strong and wealthy the tour operator provided some sandwiches and drinks for us, to make our trip more enjoyable! The only tip from me make sure that the weather conditions are good and the ocean is calm. The whole adventure on the speed boat was not very pleasant for me. Furthermore our team of three couples was very scared on the way back because of the very strong wind and choppy waves. If you want something more than just swimming with a mask and a tube, you can try diving in Thulusdhoo. Canopus Retreat cooperates with Sea Retreats Dive and Sports Center located just next door to their guesthouse. They offer different diving opportunities and have good diving equipment for both beginners and advanced. I was looking forward to experience kayaking on the magical turquoise waters of Thulusdhoo but unfortunately due to heavy rain and wind during our last day it was not possible. So maybe next time! 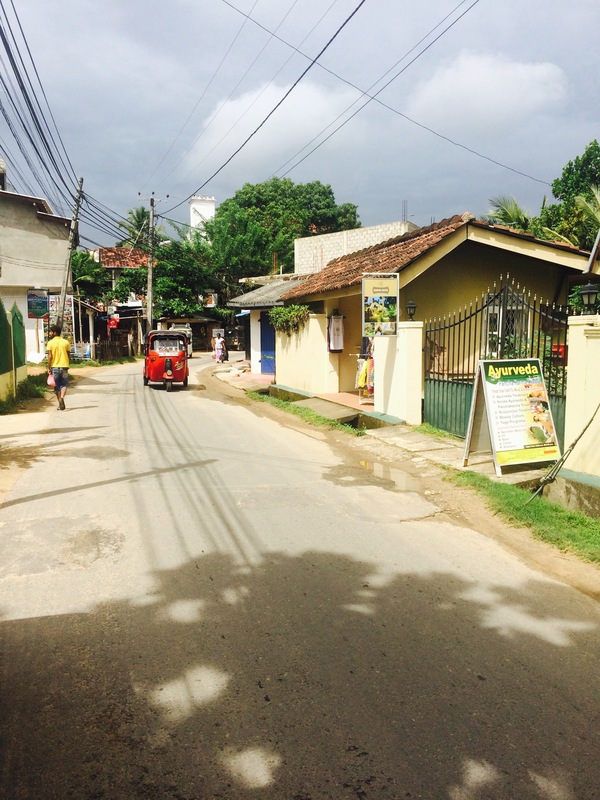 Read my article about 2 weeks in Sri Lanka to get inspired for the next trip! Kuala Lumpur what means “Muddy Confluence”, is a magnificent city and the capital of Malaysia, where various nations live in peaceful harmony with each other. The great fusion is noticeable through the mouth-watering food fusion on the streets of the grand metropolis. The wonderful city is more than just stopover city for affordable flights. 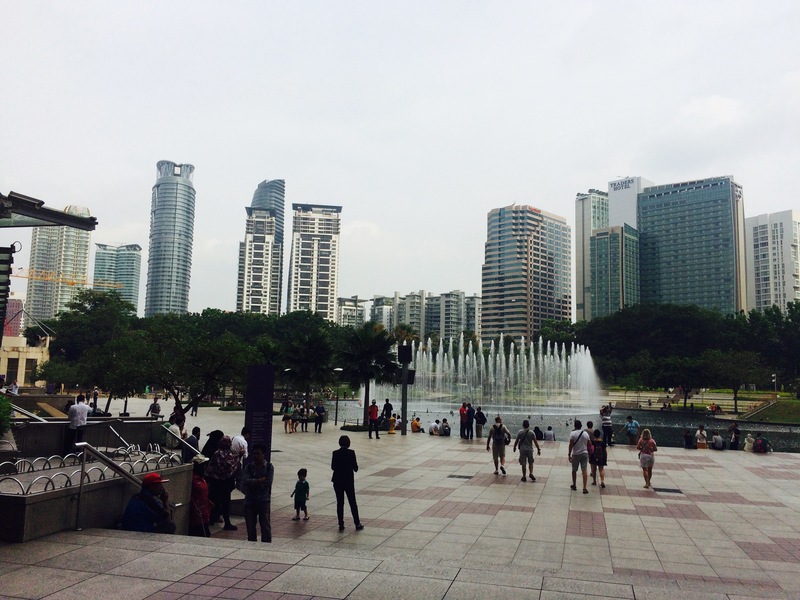 It has much more to offer and you definitely need to check my Kuala Lumpur 2 days itinerary. I suppose you are planning to visit Asia? Then these tips how to pack light will be very useful for you! The original location of the Malaysian capital was discovered by 87 Chinese prospectors, who unfortunately died because of tropical diseases. That didn’t stop numerous miners from building a settlement and later a big city on that spot. Nowadays over 8 million people are living in the vast area under a federal representative democratic constitutional monarchy, in more simple words: they have a Sultan. The high population explains the huge amount of traffic especially in the morning but also the loud and chaotic lifestyle. That’s why to save yourself from the mess on the roads and catch all the beautiful historical and futuristic sights, explore the colorful historic monuments, the Mughal-style domes and skyscrapers on foot. Here is a guideline for what to see in this Asian pearl in two days. The airport of Kuala Lumpur is not only famous for it’s magnitude and plenty of different seductive shops and cafés but also it’s one of the major airports of South East Asia. It’s easy to orientate yourself because there are signs leading you to your goal everywhere. The cheapest way to get to KL Sentral is by bus, which regularly drives to the center and costs only 11 MYR ( 2€ ). Don’t take the train, because you can get to your hotel with a taxi or even better with an Uber much cheaper and more comfortably. We stayed in the wonderful Seri Pacific Hotel, which made our stay in the metropolis even more memorable. The service is excellent, very friendly and careful. Our room was immediately upgraded to deluxe because of a water leak issue on our level. Furthermore the breakfast was a dream: The buffet included all kinds of good that your stomach could even imagine. I was very upset that my tummy is not big enough to try it all in 2 days. The hotel properties also include a swimming pool and fitness center, if you are a very sporty person. 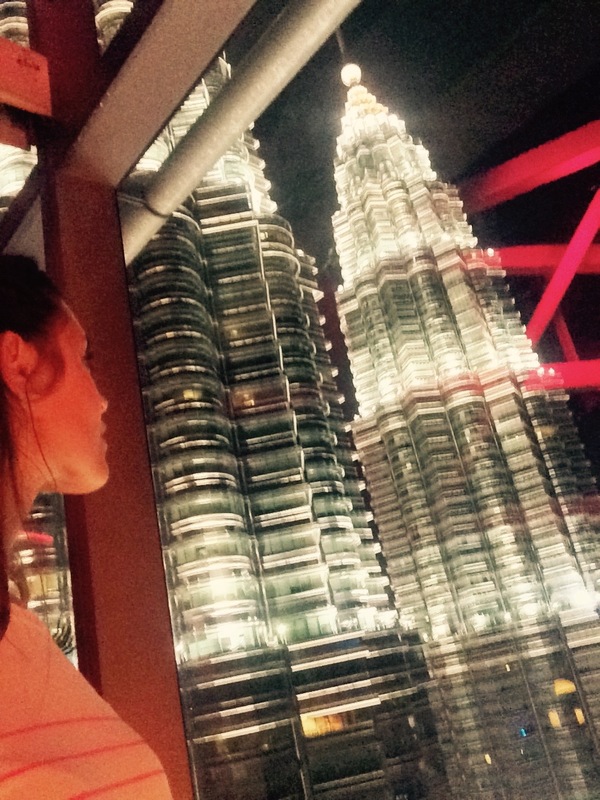 The best feature of the hotel was the view from our room on the 23d floor: the shining Petronas Towers. 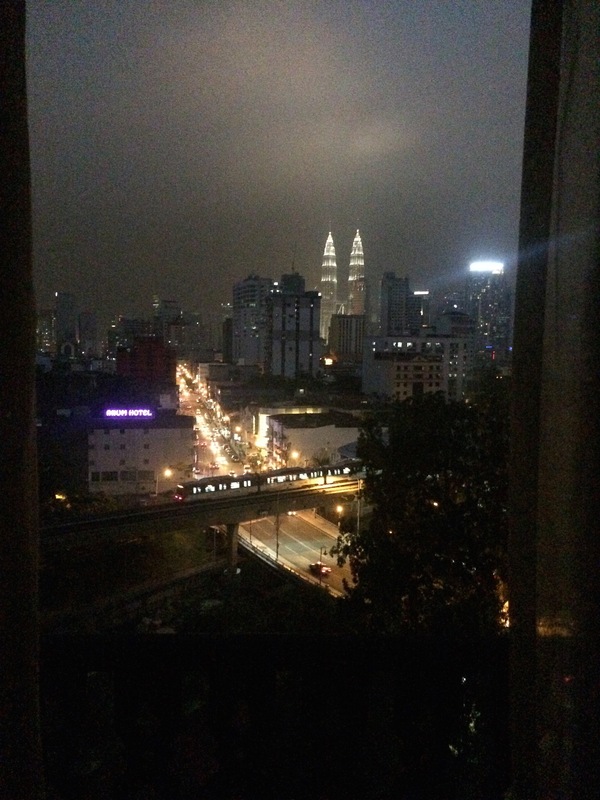 You can doubtlessly find cheaper hotels in Kuala Lumpur and I’m sure they are also amazing, but if you stay in the city just for a couple of days why not to treat yourself as a king or queen. The vivid and dynamic streets of Bukit Bintang are filled with many known brand shops and huge malls. You will find whatever your soul is craving for, you can even have a spontaneous manicure or cut your hair for a very acceptable price. The most famous mall is Pavilion KL, which has an uncountable amount of high brands like Louis Vuitton and Prada. On the bottom of the gallery is a tremendous food hall with various dishes and sweets. We couldn’t resist to try one of the seductive baked cheese tarts. 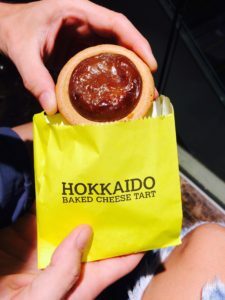 The chocolate one tastes like pudding and the plain cheese tart has a soft and creamy cheesecake taste. Heaven! 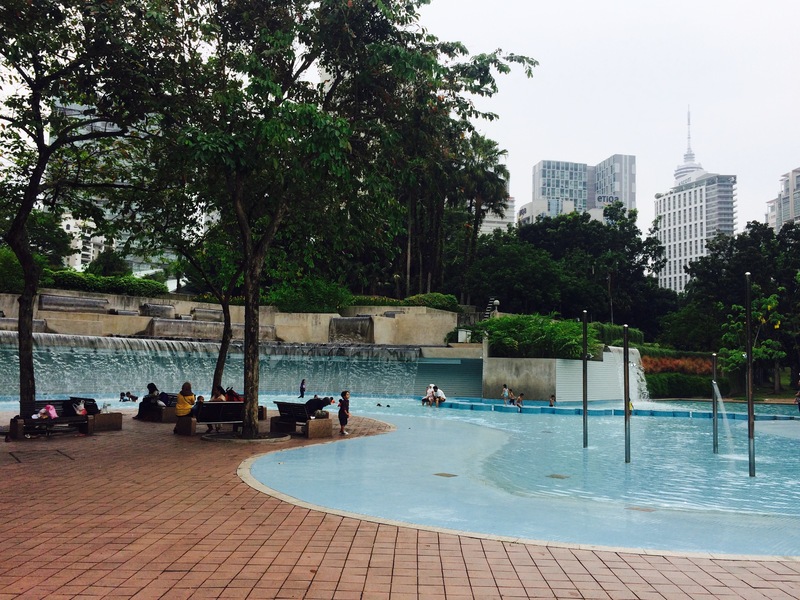 KLCC Park is a public green Eden, a 50-acre tropical landscape in the vicinity of Suria KLCC. The unique work of art has been designed by Brazilian architect Roberto Burle Marx to emphasize the importance of nature in the futuristic metropolis. 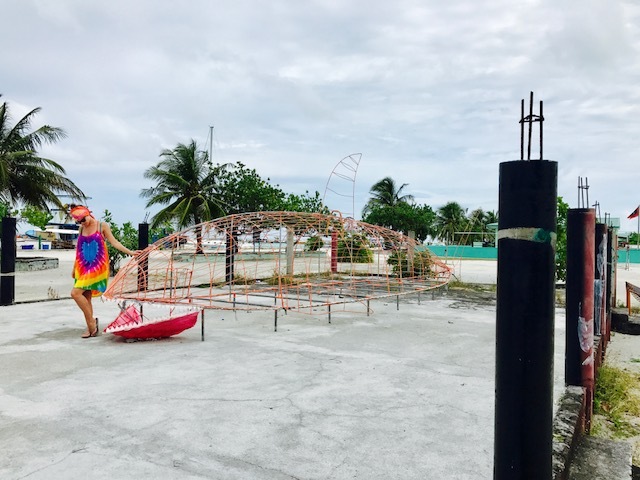 It represents an ideal ensemble of man-made playgrounds, a wading pool, benches, sculptures and natural features of 1,900 indigenous trees and palms. 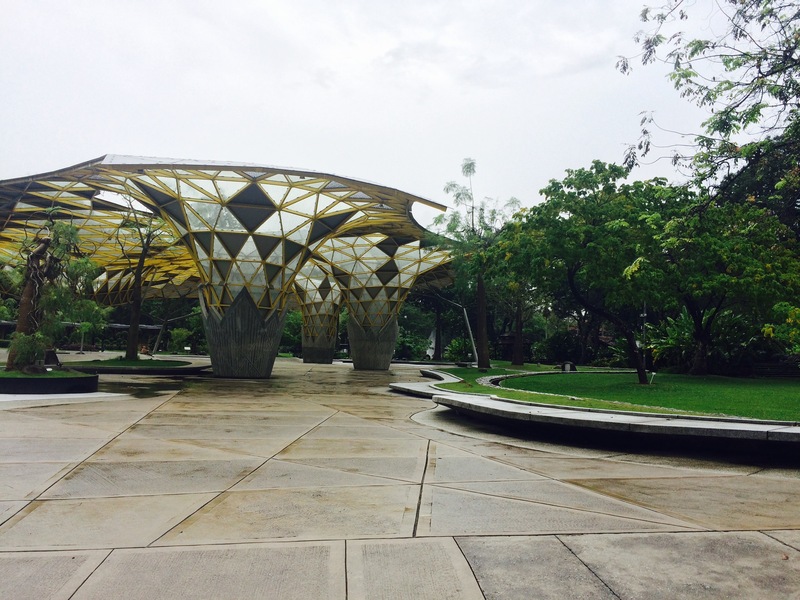 The quixotic park offers a perfect escape from the noisy city into tranquil tropical greenery. Built in the middle of the iconic park is the 10,000 square meter Lake Sympnony with two water fountains. It provides it’s visitors with 150 dramatical animations ,turning into a light show every evening. Furthermore the main fountain shoots water up to a height of 42 meters. Isn’t it impressive? When you visit Kuala Lumpur for 2 days the first information that you will find everywhere is the famous Petronas Twin Towers. The two identical towers are the eleventh highest buildings in the world, standing 452 meters above street level. But it’s for the year 2016, we just need to wait for the next Tower of Babylon to pop up. Pertains Towers offer the panoramic view from the skybridge. The double-decker skybridge connects the two gigantic skyscrapers on the 41st and 42nd floors. Many tourists pay 20€ and visit the bridge but I would suggest to go to Marinis on 57 sky bar, which is just next door. The bar is even higher than the bridge and furthermore you can enjoy food and drinks for this money. Take a closer look at the floor plan of the building, because it was designed with the influence of the islamic eight-point star. The sections of each tower represent the pillars of Islam: unity, harmony, stability and rationality. Another interesting fact is that this architectural project required at least 8 years to complete, but the budget only accounted for six. There was no other possibility but to hire two construction companies, one for each tower, who would race to reach the pinnacle. To build the dangerous beauty on time the constructors needed to spend only four days for each floor. 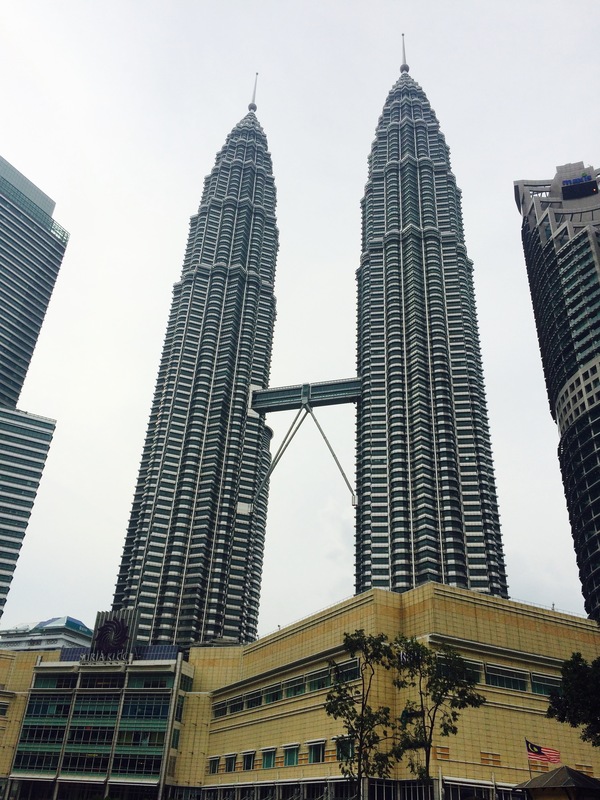 By the end the building costs were US $ 1,8 billion of dirty oil money from national oil company Petronas. P.S. Remember the movie “Entrapment” with Sean Connery and Catherine Zeta-Jones? The Petronas Twin Towers play a major role in that film. The vibrant city KL is a home of numerous rooftops, where you can hide from the the busy streets and crazy traffic behind the huge windows showing you the perspective of a bird. To visit one of the rooftops and enjoy your drink beyond the ground is a must. There are two of them that I absolutely need to mention. 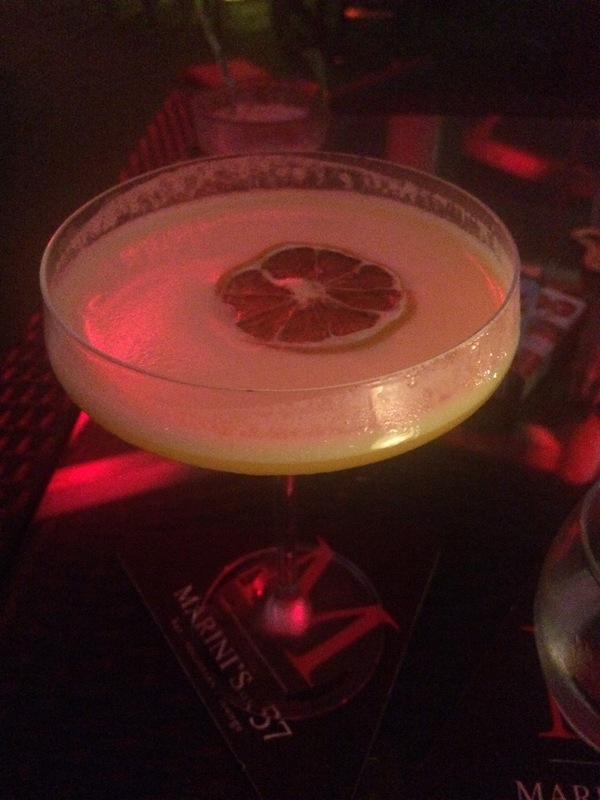 Must place to visit in Kuala Lumpur is Marini’s on 57: an exclusive restaurant and bar with neon light and brown leather sofas just in front of the unique Petronas Towers. The views from the 57th floor are unforgettable and extraordinary. The prices are not biting either, cocktails cost around 10-12€. Another glamorous cocktail lounge with breathtaking views and amazing drinks is the 33rd floor Sky Bar at Traders Hotel. In the center of the bar you will find a refreshing swimming pool. If you don’t feel like swimming then you can just enjoy your liquid pleasure in the glass on one of the comfy sofas. There are plenty of the amazing rooftops in KL, it’s impossible to experience them all in 2-3 days. That’s why you need to choose carefully which one you definitely want to see. But one thing is for sure: They are all memorable! 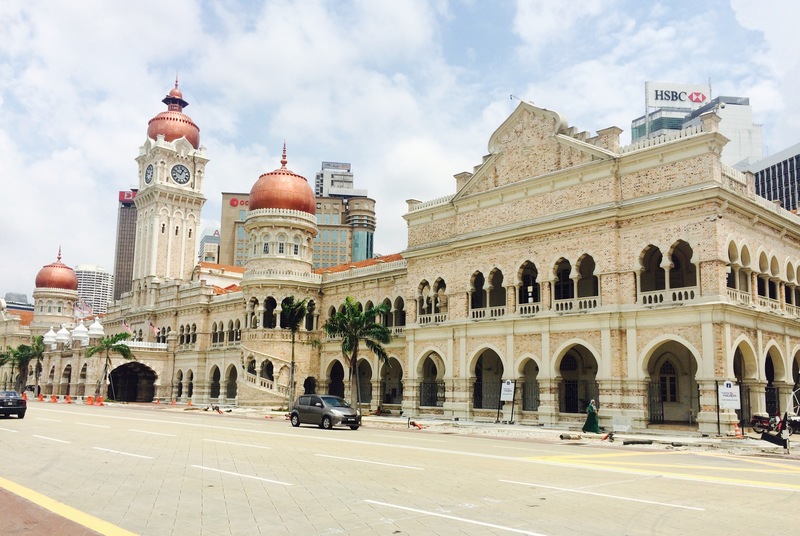 The imposing Merdeka Square is a landmark of the city, which is set in the heart of the capital and in front of the Sultan Abdul Samad Building and next to one of Malaysia’s oldest Anglican churches, St. Mary’s Church. The Square is a historical sight where Malaysia declared it’s independence and the Malayan flag was raised for the first time in 1957. The flagpole is by the way the highest in the world and reaches a proud 100 meters. You can easily reach it by train, it will take just 10 minutes to walk from Masjid Jamek station. 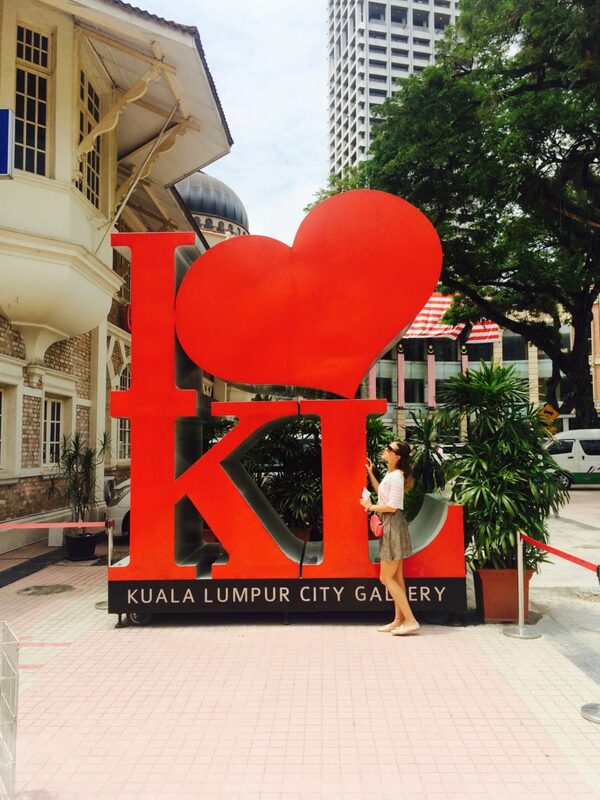 There is also the KL City Gallery, where you can widen your knowledge with the history of the metropolis. Take your time and get to know the hosting metropolis for almost no money: 5RM. The highlight is the incredible City Model Show, which you need to see with your own eyes. The 5RM ticket you can use afterwards in the café or gift shop of the museum. It will be probably very hot outside so it’s a great opportunity to cool down with one of the delicious iced coffees. There are many free things to do in Kuala Lumpur like visiting Perdona Botanical Garden. It’s a quite a walk from Merdeka Square, so to save power and your shoes, it would be more efficient to order an Uber to reach the quixotic park. Take a long walk through the peaceful green area and enjoy the beauty of the nature for free. There are a variety of outdoor sculptures, Hibiscus and Orchid gardens where you can relax on one of the benches, Deer Park with a few deer and also including the smallest hoofed animal, the mouse deer. 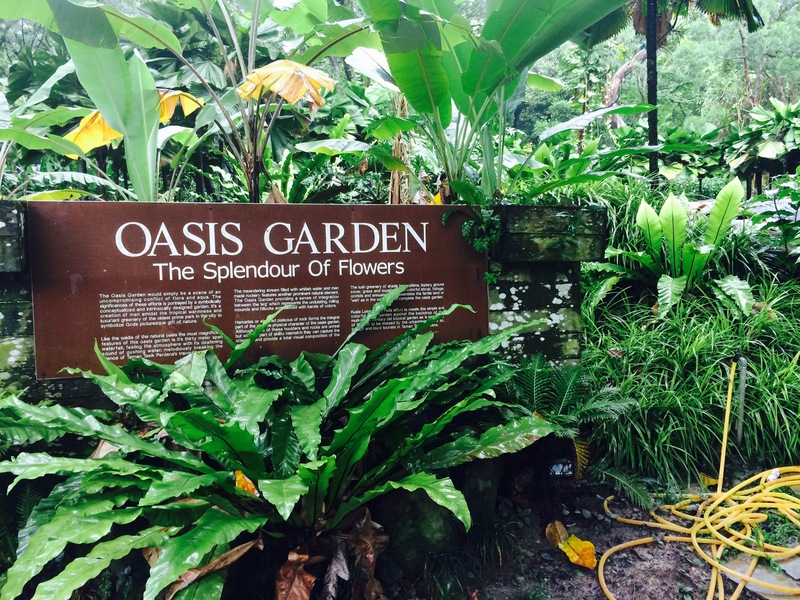 There are numerous different gardens that you can visit for free and explore the flora and fauna of tropical oasis KL. There are also plenty of popular tourist attractions like a huge family oriented Bird Park. There you can see, feed and take photos with various exotic birds. If you are not interested in birds you can see colorful insects in the Butterfly House. Visit the Kuala Lumpur National Planetarium for the very low price of 1RM. There is an interesting exhibit about the Malaysian space program and you can even take a ride on the “space ball”, which simulates the high G-forces of reentry into our atmosphere. 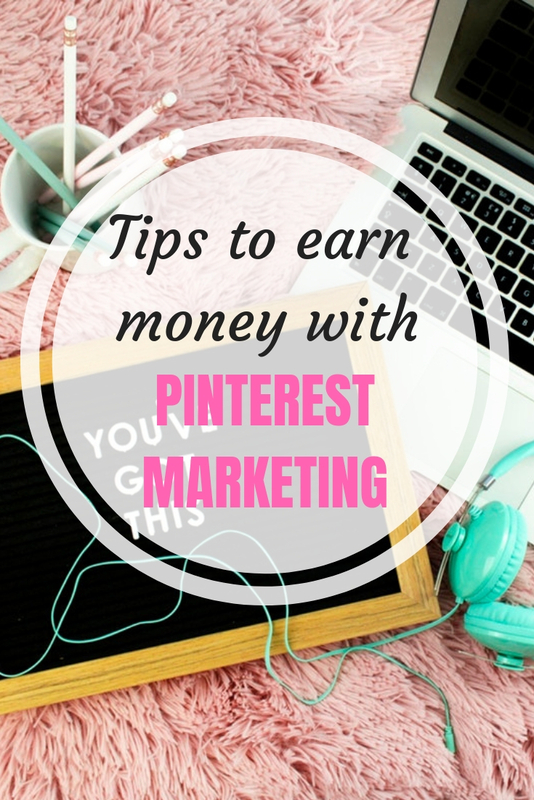 It’s definitely worth of your time! 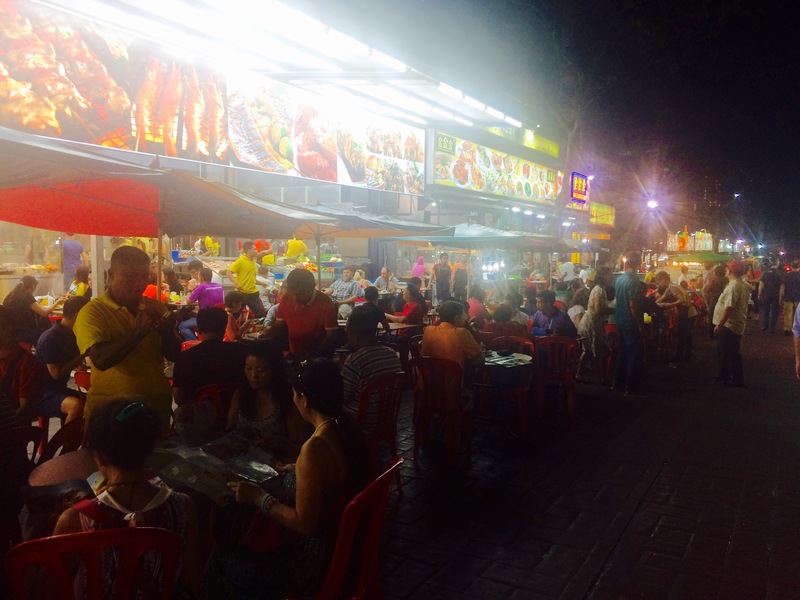 Jalan Alor is the most popular food street and the best spot for locals and tourists to experience the taste of divine Malaysian food. 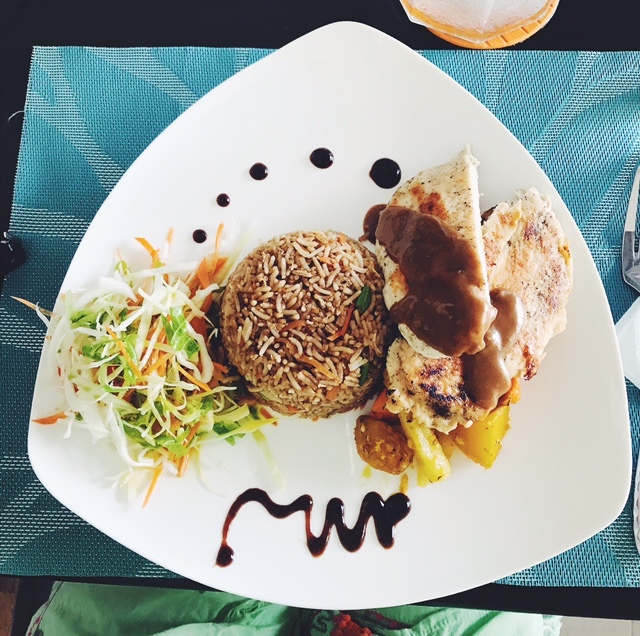 The streets are full with atmospheric seafood restaurants, fanning grills of chicken and beef skewers, woks and many other varieties of amazing food. The long walkway with plastic tables and chairs on both sides of the road will seduce you with smells and spoil you for choice! If you are tired of street food and you would like to discover vibrant restaurant scene with traditional dishes and also fusion fare then you need to visit famous Changkat Bukit Bintang. It’s located next to Jalan Alor and will surprise you with trendy restaurants and bars. 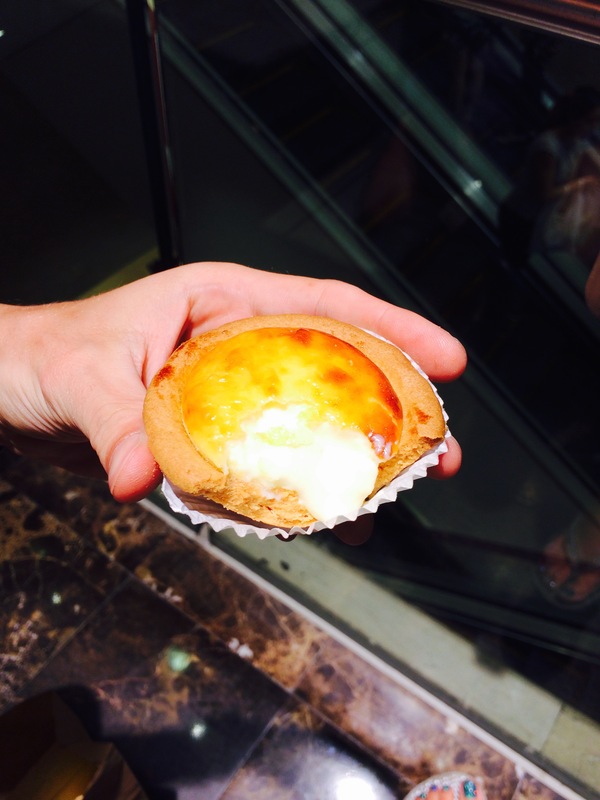 Enthusiastic foodies doubtlessly need to taste gastronomic delights in El Credo and Opium. Quaint and unique eateries will be another pinnacle of visiting Kuala Lumpur. It’s very easy to reach Maldives from Kuala Lumpur. 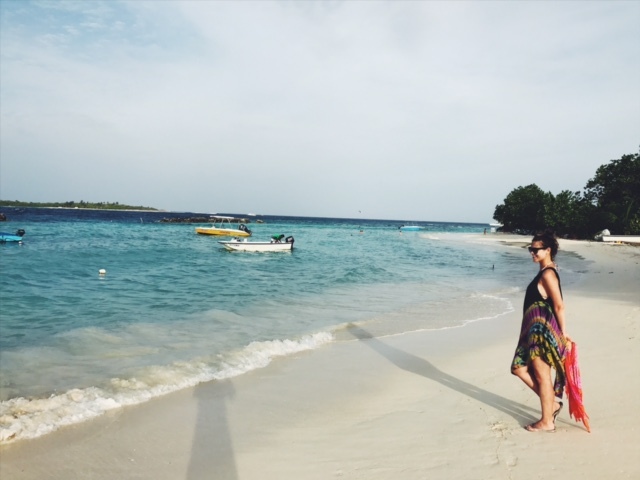 Read here how you can travel to the islands of paradise on budget! We decided to have 2 weeks of holidays to the mysterious island of Sri Lanka, because we’ve never heard much about it. For us it seemed a completely undiscovered place to travel, which people named “The pearl of the Indian Ocean” or some locals without any poetic soul “The testicle of India”. In the end it just depends on your imagination. We found good flights to Sri Lanka with Sri Lankan Airlines, which are awesome. But before you also start planning your trip to Sri Lanka read some useful tips how easily to pack light. 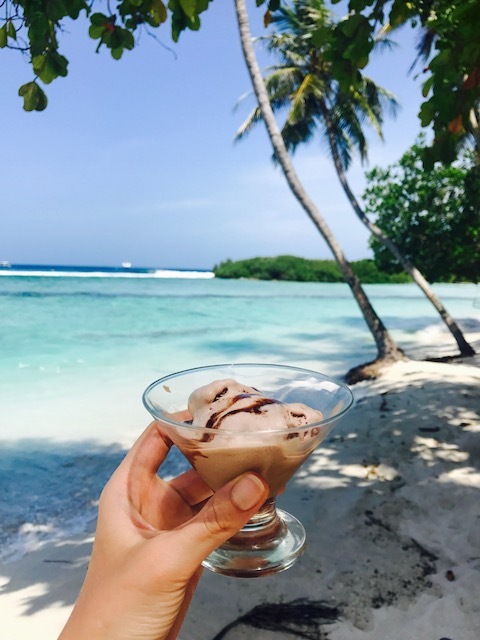 Holidays in Sri Lanka offers everything to immerse into the quixotic tropical life: golden beaches, diverse wildlife with a large magnitude, tea plantations, cultural and architectonical treasures and healthy delicious food to savor. It was not always sunny in Sri Lanka though. 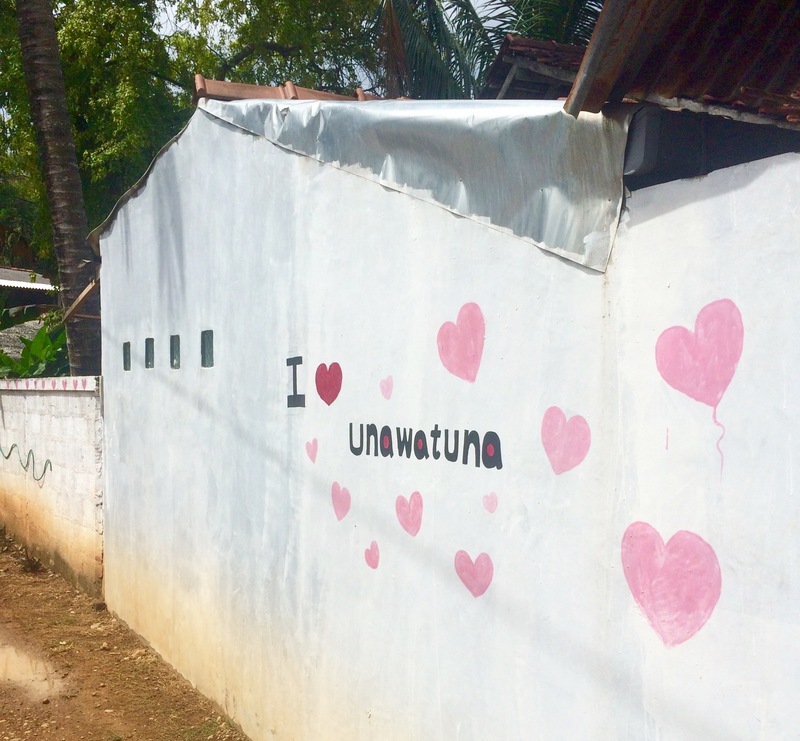 First after the end of the civil war in 2009 and also the devastation from the tsunami in 2004, the island has become a more and more popular destination for travelers and honeymooners. Nowadays tourism and interest in Sri Lanka is growing every year. Interesting fact: The official name Sri Lanka, which means “Blessed Lanka”, was adopted in 1972. It used to carry the proud name Ceylon, now we can only hear it if we talk about tea, which is also from there. The majority of the population is dominated by Sinha, practicing buddhistic cultural beliefs. As a result of diverse minority, Sri Lanka has always been home to multiethnic and multi religious societies. If you want to travel and see the Indian pearl with your own eyes, you should first apply for Sri Lanka visa, www.eta.gov.lk, which costs around 30€ and allows you to stay in the country for 30 days after entering it. Don’t worry, if you fall in love with Buddhistic caves or one of the passing whales, you can always extend your visa. The local currency is the Sri Lankan Rupee, with notes such as Rs.5,000, Rs2,000, Rs1,000, Rs500, Rs100, Rs50, Rs20 and Rs10. Make sure to change enough money, because there won’t be many possibilities to use your credit card or to change foreign currency. Furthermore take care to have plenty of lower denomination notes so you can easily buy food and smaller items while traveling. Don’t expect Sri Lanka to be as cheap as any other Asian country, the prices are pretty steep. 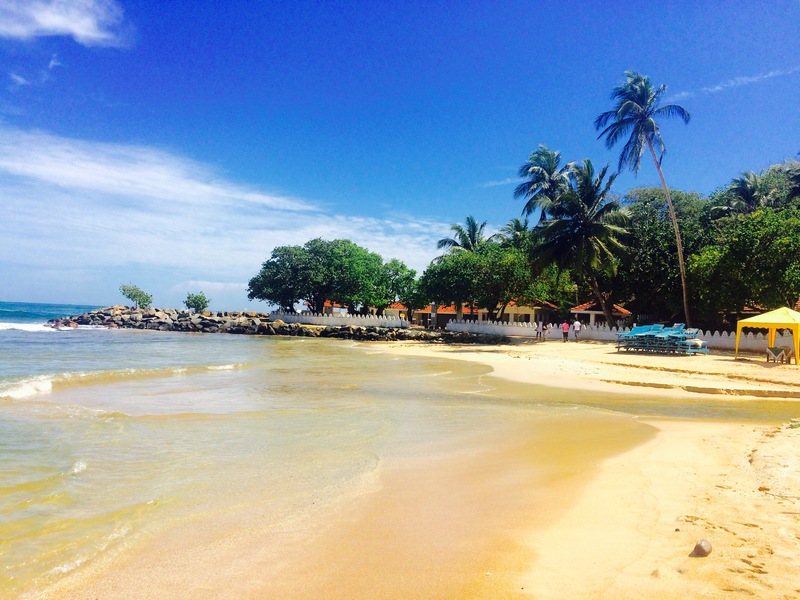 Sri Lanka has indescribably magnificent beaches with crystal clear water and golden sand. 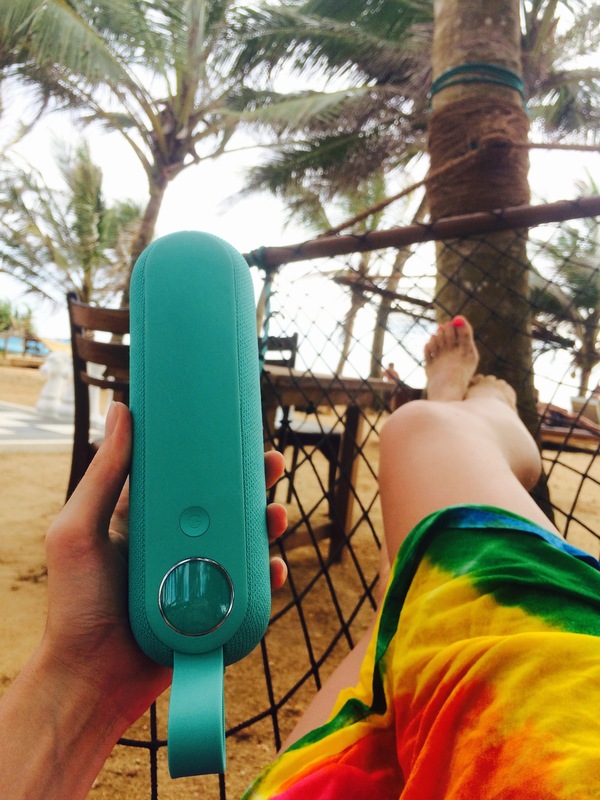 However you won’t find parties everywhere on the beach, so just bring your own speaker. I brought my Libratone TOO, which has an amazing clear sound going in all directions and most importantly it’s splash proof. It’s easy to transport and it will grant you your life’s soundtrack for up to 12 hours. Because we all know: No music, no fun! Colombo is a capital of the beautiful island in the Indian Ocean, Sri Lanka. Be prepared for the hectic arrival though. The arrival starts with the traditional asian chaos in front of the airport: taxi drivers fighting for the biggest fish. Experienced travelers will know that there are always cheaper options to get to the city, Sri Lanka is no exception. There is a bus station on the left side when exiting the airport and the ticket costs 120 LKR, which is less than 1€. In 45 minutes you will reach the messy and loud city center of Colombo. Make sure that you book a hotel room in the city, because the magnitude of Colombo could be deceptively large. Furthermore all touristic attractions can be found within. 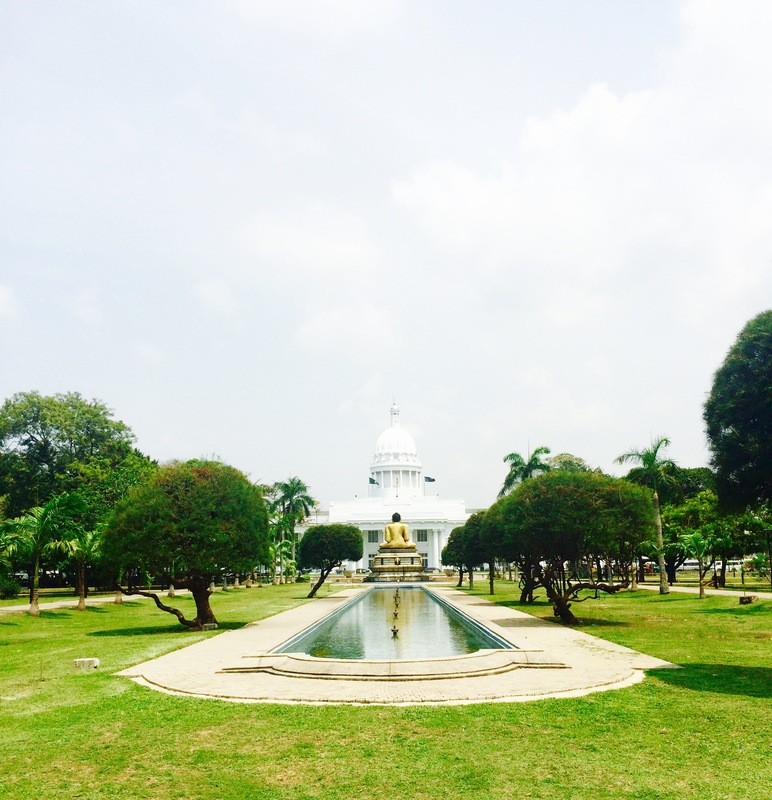 Beyond that, there is not much to see and that’s why one day in Colombo will suffice. On the way to your hotel be aware to only use metered taxis and tuk-tuks. Even better if you will order Uber, it’s so much cheaper and trustworthier. In the city filled with insane traffic and crowded streets you will discover beautiful buddhistic temples like Asokaramaya Temple and Gangaramaya Temple. If you prefer tranquil surroundings then you definitely need to visit Viharamahadevi Park, where you can observe tropical botanicals and sip on some delicious freshly prepared juice. 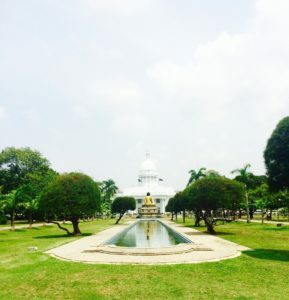 Next to it you will find Colombo National Museum. Sri Lanka is a pretty big island but despite this it’s easy to travel around. The beloved way of traveling is by using the train. If you want to feel like a VIP and have a ride in first class then be sure to purchase your ticket one day before. There is a limited amount of available seats. I am more of an impulsive traveller, that’s why I got my second class ticket, which is not so bad at all, just 40 minutes before. It’s better to be earlier in the train station so you can get a place to seat. 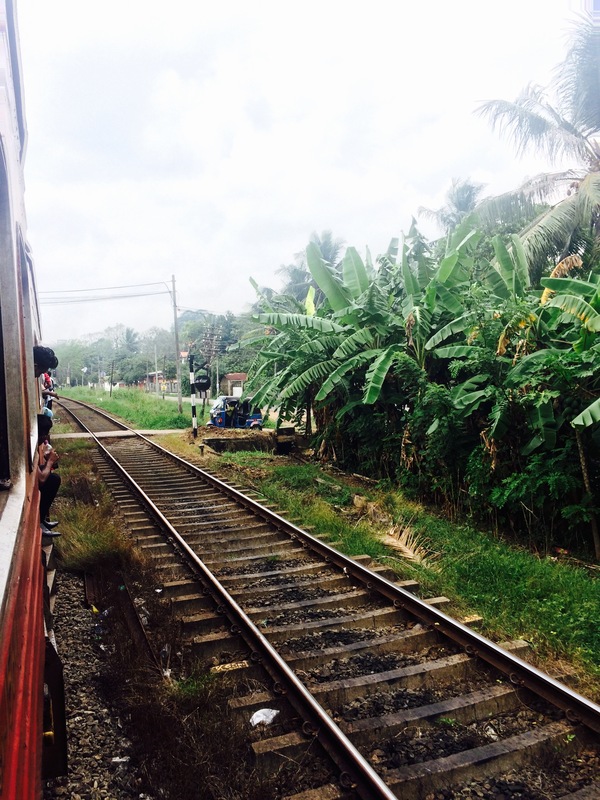 Trains in Sri Lanka have a tendency of being filled to the brim. The timetable of the train can be found on Sri Lanka Railways. You can decide where exactly your journey should start. 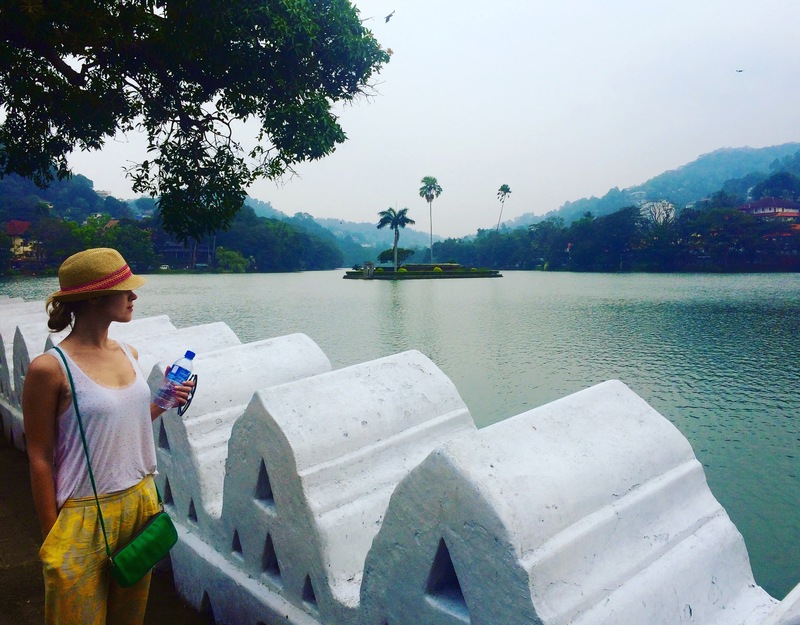 The best beginning to get acquainted with the city is to see Kandy Lake and visit Temple of the Tooth. Very important if you want to enter this holy domain, you should cover your legs and shoulders. This concerns both genders. I’ve seen many temples during my travels around Asia, that’s why the 40€ price tag dissuaded me from entering and seeing the ceremony within. 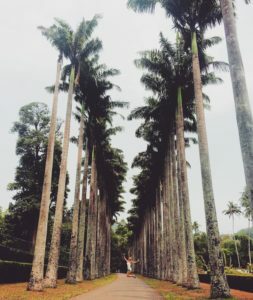 A highlight of Kandy that’s definitely worths it’s price because of it’s unique greenery are the Royal Botanical Gardens. For 10€ you can get lost between gigantic palms, extraordinary plants and exotic animals for hours. Orchid lovers will find themselves in Eden: the garden presents numerous different species of the elegant flower. On the tremendous space of 147-acres you can observe sensational trees like the Javan fig tree with it’s roots resembling huge tentacles, the Giant Bamboo of Burma, which is capable to reach a hight of up to 40 meters. Some trees reminded me of Tim Burton’s cartoons, because of their curved shapes. There is also an area where famous people like Queen Elizabeth !! or Yuri Gagarin have planted mesmerizing trees. Sri Lanka is also famous for it’s delightful tea, that’s why I definitely recommend to visit the Kadugannawa Tea Factory. Visitors can have a free guided tour through the procedure of tea processing from the leaf to the infusion. I was surprised to find out that of the same plant you can get around 9 different tastes of tea. Both black and green tea are made from the same plant too, the difference is that the green tea goes through a minimum level of processing, while black tea goes through fermentation. As a result green tea has less caffeine and more antioxidants, which may prevent cancer and other diseases. By the end of the tour you can taste the delightful tea with a local sugary-honey candy and of course also purchase the various sorts of qualitative tea for a fair price. If you are interested in gems, then you can get to know Sri Lanka’s sapphires and moon stones a bit closer. There is a gem factory, where you can have a free guided tour and also purchase the colorful stones. Nevertheless it’s more about the jewelry shop than a museum. 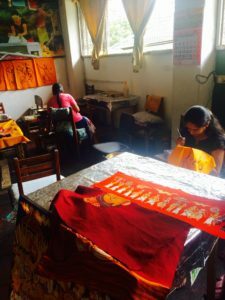 If you are more interested in spending money on some art or maybe just to get to know the Batiks of Sri Lanka, then you doubtlessly need to visit one of the factories. 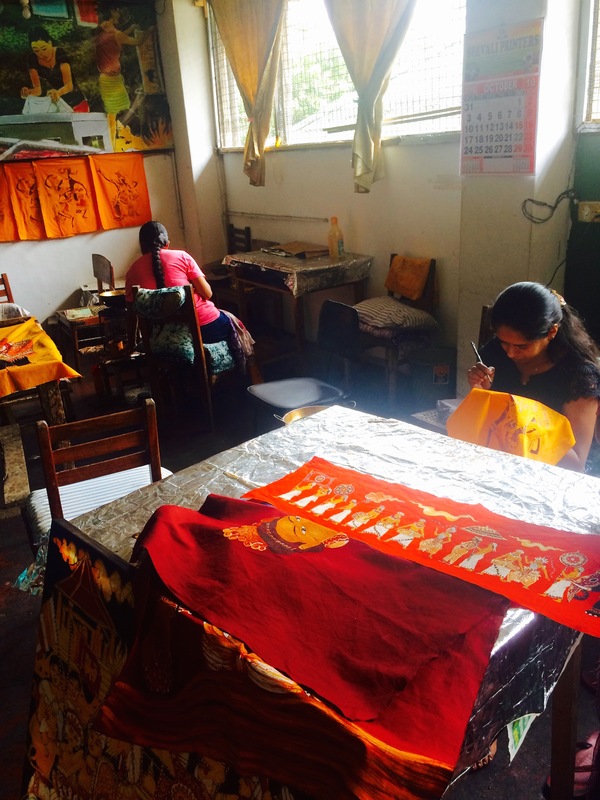 Batik is a complicated procedure of painting onto cloth with wax and afterwards colours. It takes from seven days until two months to finish the pattern and the result is astonishing. You probably thought that there will only be the factories but no, there is one more: Ayurvedic and herbal gardens. By living in the city and getting our medicine from pharmacies, we forget that nature has answers for everything and it’s also the best healer. Having a tour through the medicinal plants garden, you will get to know which mixtures will help to solve your problems. 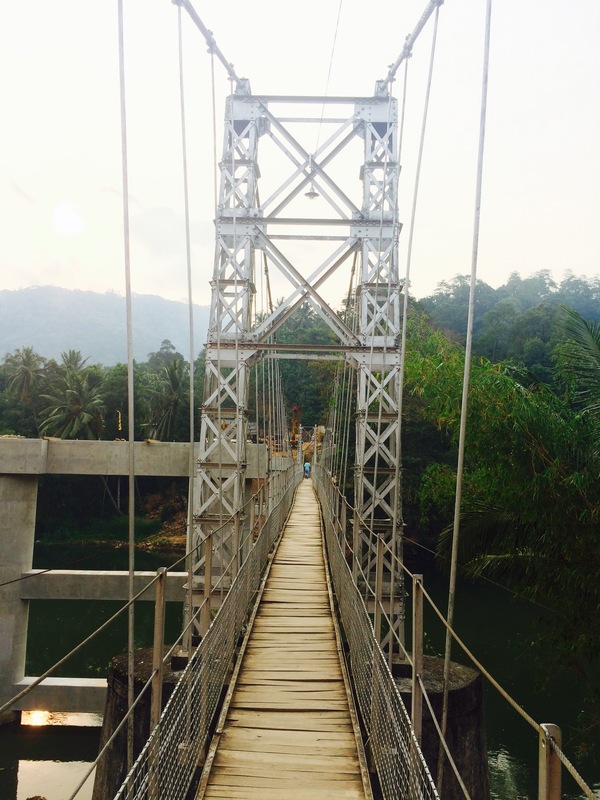 Another interesting fact about Kandy: One of the bridges was used in the legendary movie “Indiana Jones and the Temple of Doom”. 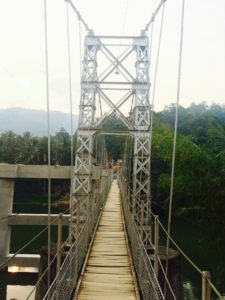 The famous bridge was constructed by the movie crew and after the filming was over, they left the construction behind, so the locals could use it. 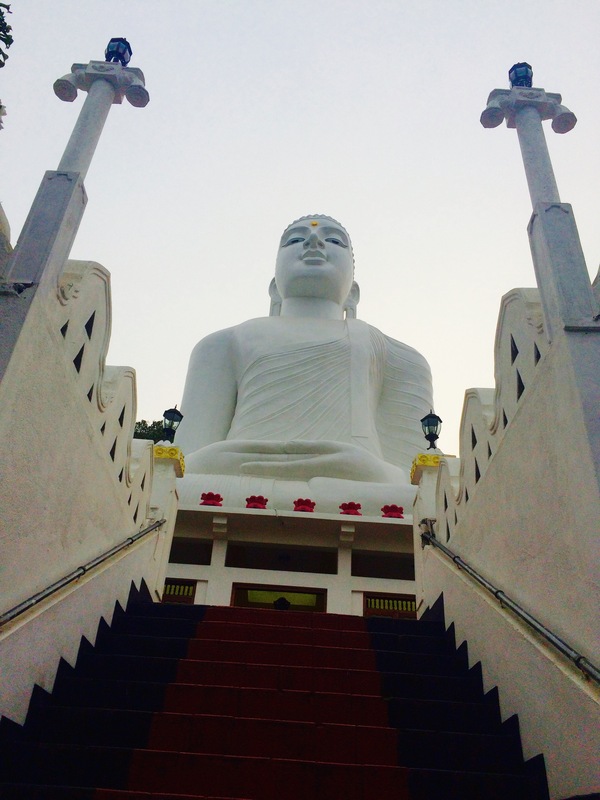 The last stop of the day tour ended by visiting Bahiravokanda Vihara Buddha Statue located on the top of the hill. 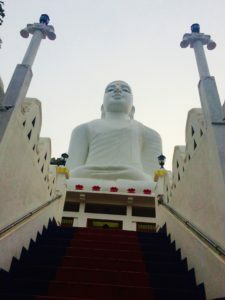 The gigantic statue is one of the tallest in Sri Lanka and it’s visible from everywhere in the city. It’s especially amazing to see the huge Buddha at night, when it’s lit up in the darkness. From the top of Bahiravokanda, which means “devil’s hill”, you can observe an astonishing panoramic view. In the morning we took the train in first class towards Nanu Oya. After almost four hours we arrived at our destination and immediately one of the locals offered his taxi service, before we could even leave the platform. We got informed that the average price to get to Nuwara Eliya, or how the locals call it “Little England”, is 600 LKR. 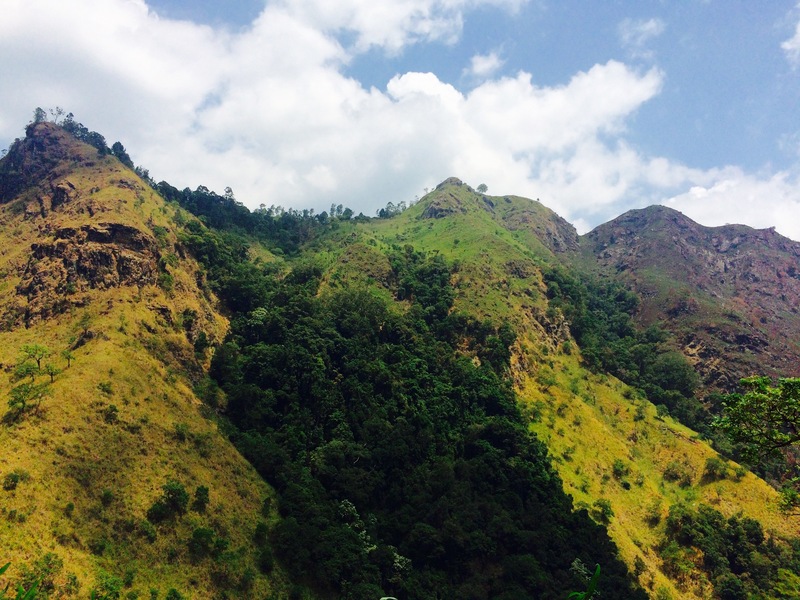 Nuwara Eliya, which means “City of Light” is located on the top of the mountain, which is around 2.000 m above sea level. That’s why you shouldn’t expect tropical hot climates, but a misty-mountain atmosphere. Since 2012 the area’s popularity with tourists hast started to rise, directly influencing the increase of guest houses being built and the land’s value going up. At the moment Little England’s houses and structures resemble those of colonial times but who knows what will happen in a couple of years. Nuwara Eliya is an ideal place to escape reality and immerse into the infinite tea fields and enjoy a country style life with horse riding and playing golf. 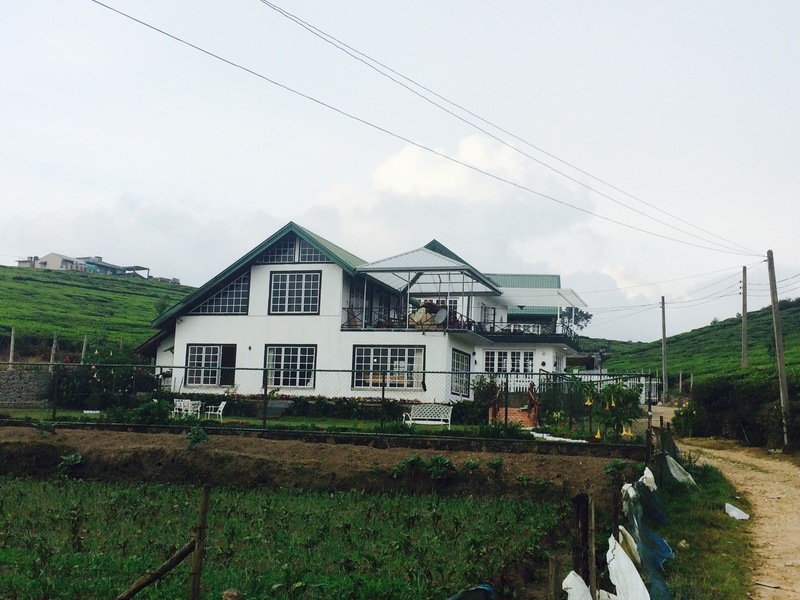 I would suggest to stay two-three days at homely Villa Tea Fields with it’s luxurious rooms, a beautiful terrace overlooking the tea fields, a delicious breakfast and great service. The place is a bit out of town but you can easily reach it with tuk-tuk for 250 LKR. Breakfast at Villa Tea Fields Hotel in Nuwara Elliya, Sri Lanka. You can also take a bus to Matara, which will take around 6 hours drive but the roads are very winding and not always in the best condition, so it won’t be a pleasant journey. You will get what you’ve paid for. 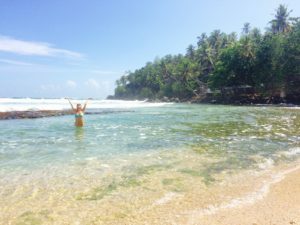 Mirissa is a utopia for beach lovers. The small coastal area is filled with a string of modest guesthouses, beach cafés along the sand with food for a change, not only Sri Lanka’s cuisine and pretty good waves during the off season for surfing. 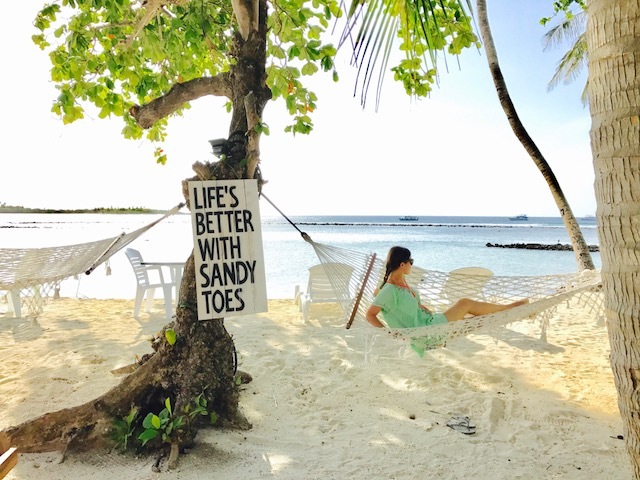 You can lay in the hammock with a refreshing coconut or have a swim in the crystal clear water. It’s also possible to experience memorable attractions like whale watching, just be sure that it’s whale season. Here it’s all about relaxing, sipping on cocktails during the happy hours and savoring seafood with the golden sand under your feet. If you are searching for a wild party then it’s the wrong place for you. 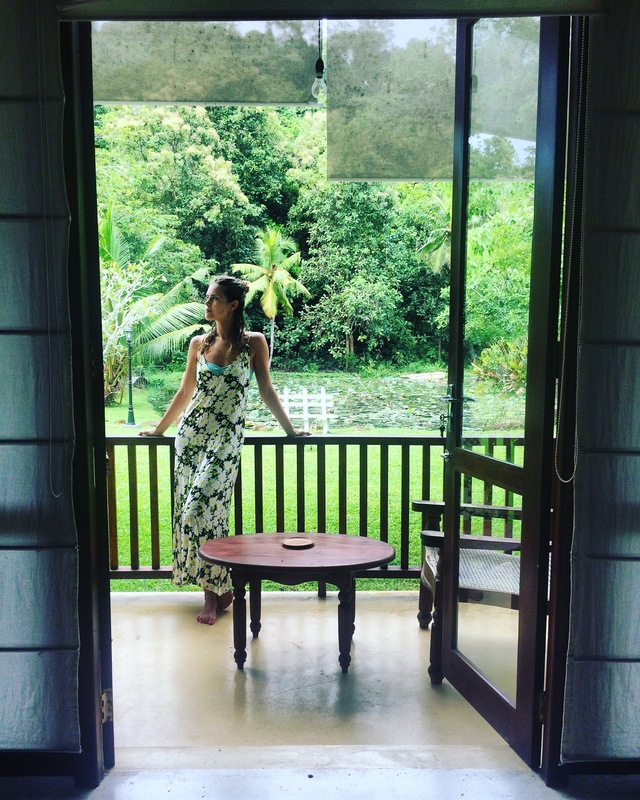 We stayed at homely Villa Ishara In Mirissa. The rooms are simple without luxurious facilities and no air conditioner but the owners are incredibly heartwarming and care taking. 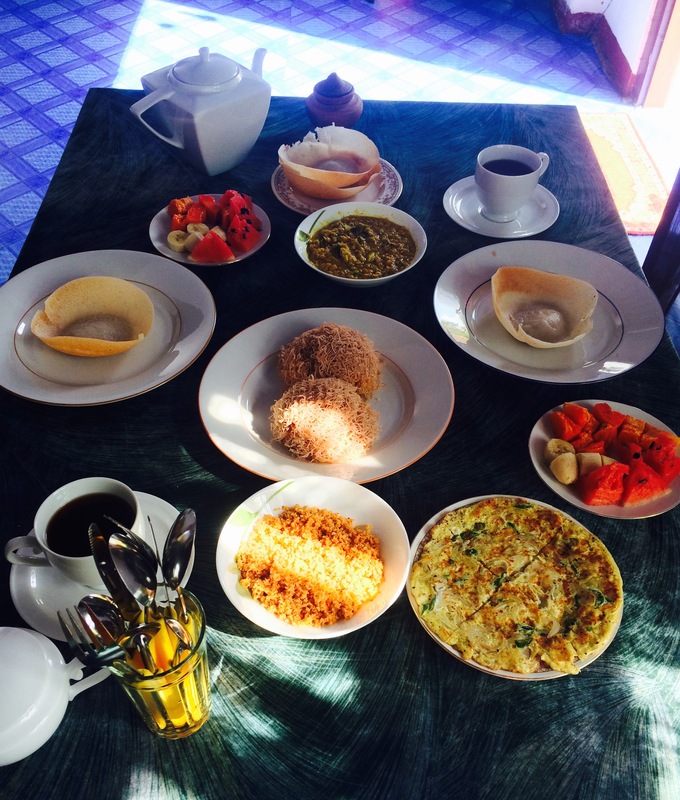 They will provide you with an amazing plentiful local breakfast and interesting stories about the country. 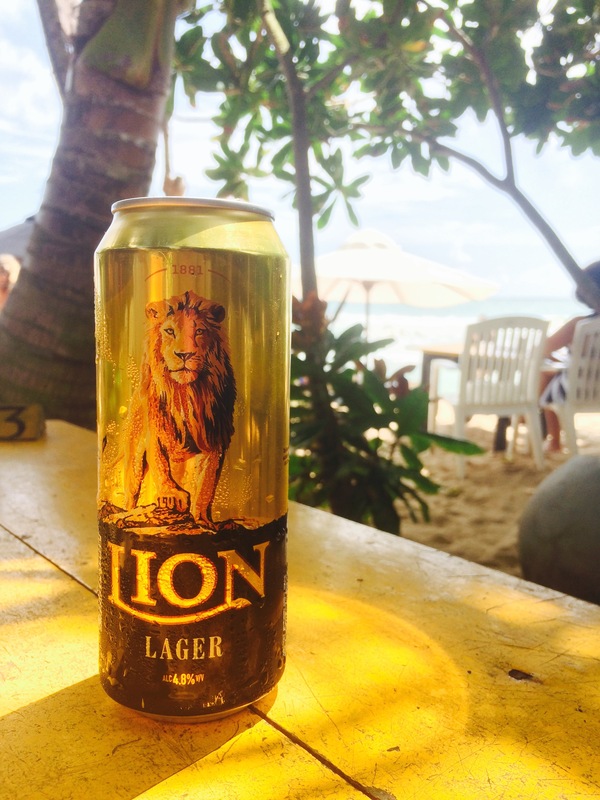 Tip: The sun on the coastal Sri Lanka is very strong, definitely take sun protection at least factor 30. 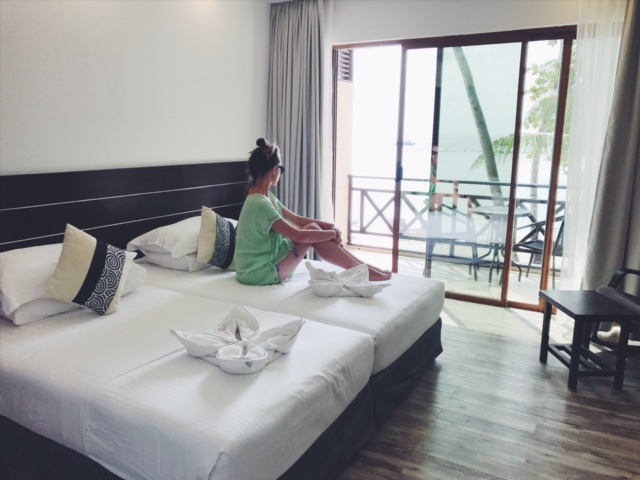 On the next day, after a delightful breakfast we decided to be extremely adventurous and reach our next beach destination Unawatuna by public transport. The bus station is right in front of the guesthouse’s entrance, where we were staying. For 65 LKR you will enjoy a unique experience in the form of a wild bus ride: A chaotic but well oiled machine. Just take bus 350 towards Galle even if you are carrying heavy luggage, it will be deposited in the trunk by the bus attendant. Of course you can travel in a more comfortable way like taking a Tuk Tuk for 1000 LKR or a taxi for 3.500 LKR. In my opinion for a distance as short as this the bus is worth to experience, so you will have money for more delicious rotis. We were staying at Nooit Gedacht Heritage Hotel and lucky us the bus stop is just in front of it. We decided to book a room in this resort not only because of the attractive price, the main reason was the swimming pool. We were surprised how big the hotel complex is and how amazingly they combined it with a jungle feeling. 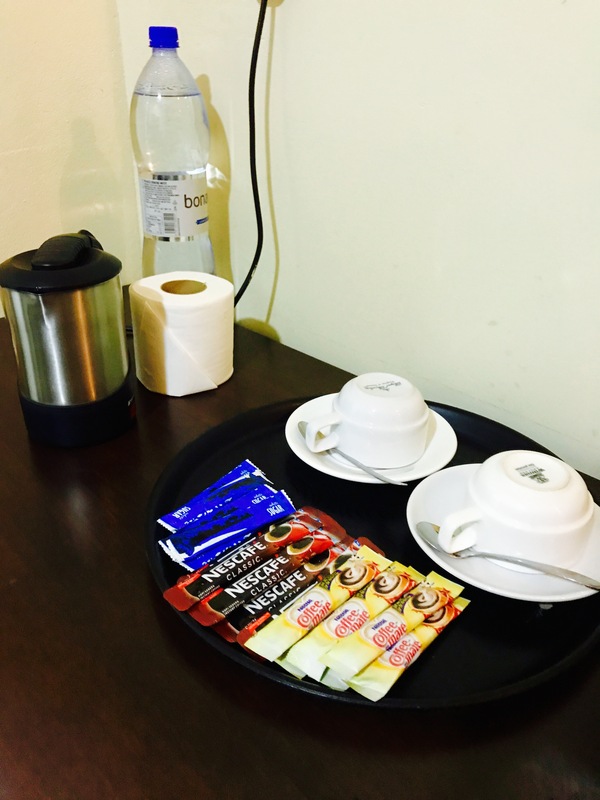 The friendly service, refreshing welcome drinks and big, well furnished room made our day, so we decided to book an extra day. Afterwards you can stroll through the street full with various shops and cafés towards the beach. Don’t miss one of the tea shops with the friendly local owner Haris and his young son, where you can taste different sorts of teas and in the end purchase them. Ask Haris about anything, he will give you honest answers and tips and tricks about Unawatuna. As I already mentioned Sri Lanka is not a cheap country, the restaurants have similar prices as in Europe. But we managed to find a great all-you-can-eat Mati Gedara Restaurant for a fantastic price of 350 LKR. 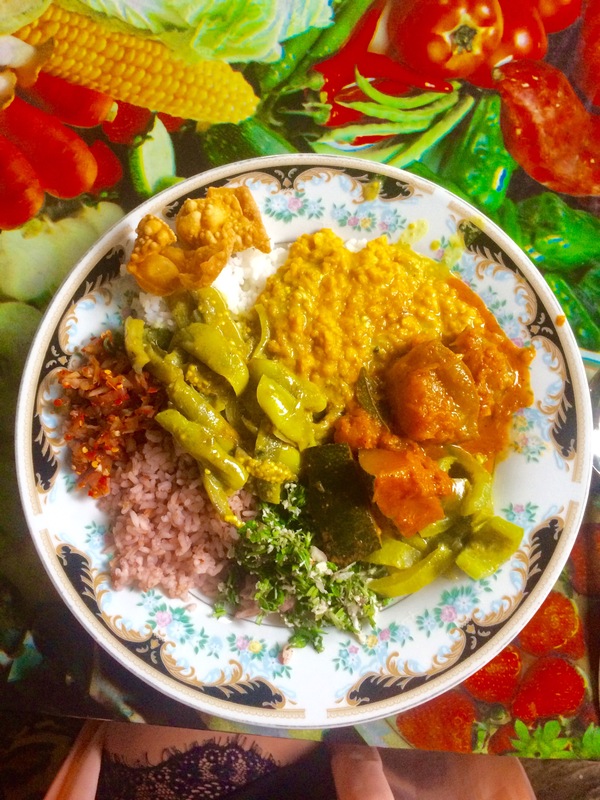 Don’t be suspicious and try this buffet of Sri Lanka’s best. Every day they will surprise you with new dishes. You can also visit the Herbal Garden, where you will get to know different healing elixirs provided by Mother Nature and prepared by herbal magicians. For the girls, there is an answer for your hair growth problems on the areas where it shouldn’t be: A herbal creme, that will remove your hair for the next three years. As I said, magic! 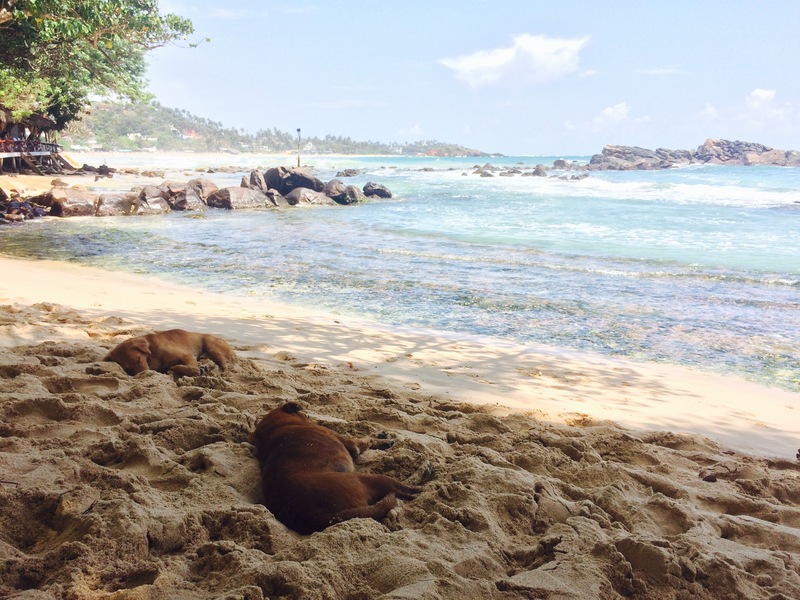 There are two main beaches in Unawatuna: Unawatuna beach and Jungle beach. The first one resembles an enormous golden sand path with numerous cool beach cafés and restaurants. 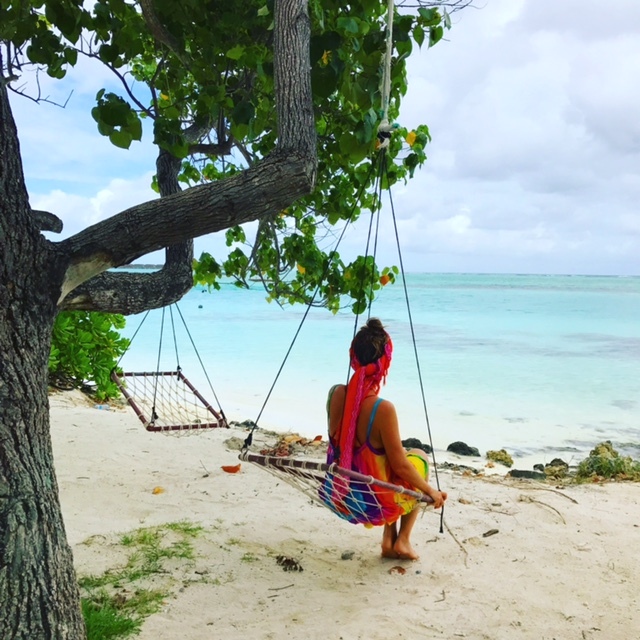 It´s very touristic, most of the locations are equipped with comfortable beach beds and there are plenty of locals trying to sell you various items like coconuts or bracelets. If you walk along the coast you will reach Pagoda with a huge Buddha sitting inside comfortably. This monument was built by Japanese monks as a sign of peace between all nationalities after the cruel war. The Jungle beach lies beyond the Peace Pagoda and is an epitome of a small quiet paradise surrounded by the tropical trees and plants. 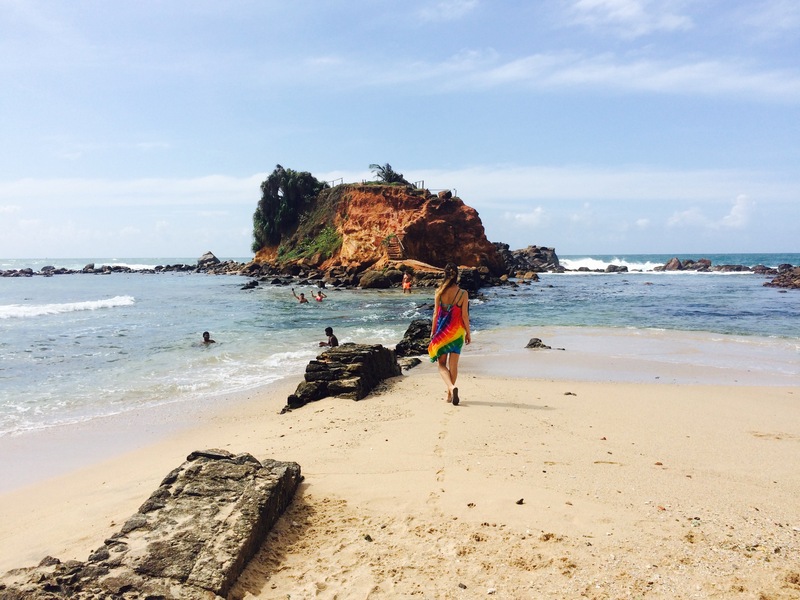 I should say, personally I prefer Mirissa beach, because of it´s hippie atmosphere and it’s cute compact size. 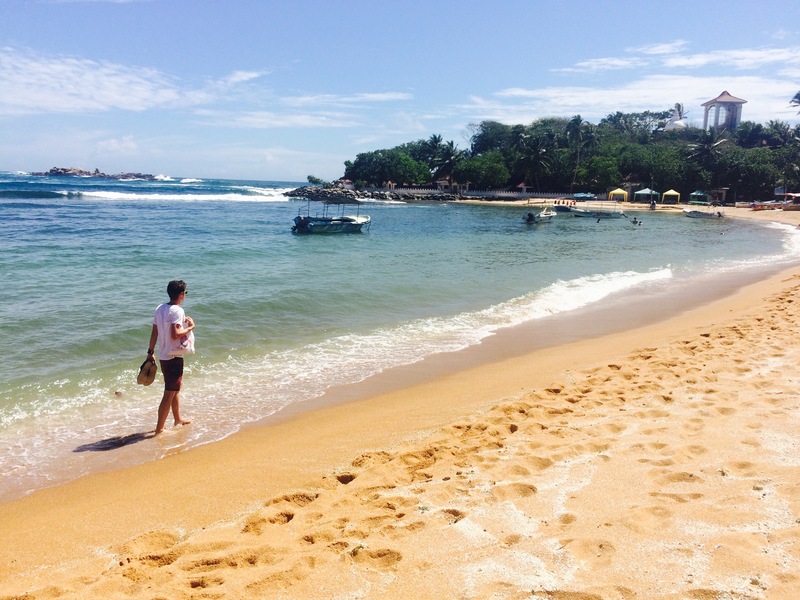 Unawatuna is beloved by many tourists, especially those who are traveling with their kids. Nevertheless two nights in Unawatuna definitely won’t be torturous. Tip: Send a postcard to your friends or family members, it costs only 25LKR from Unawatuna, so almost nothing. You won’t get poor and you will make someone smile. You can visit plenty of different mesmerizing beaches in Sri Lanka like Bentota and Hikkaduwa. Unfortunately we didn’t have time to admire them with our own eyes but all of them you can reach easily and cheaply by bus or train. My advice, start the journey on the island with the beach sides going South from Colombo. It’s more convenient and not exhausting at all. 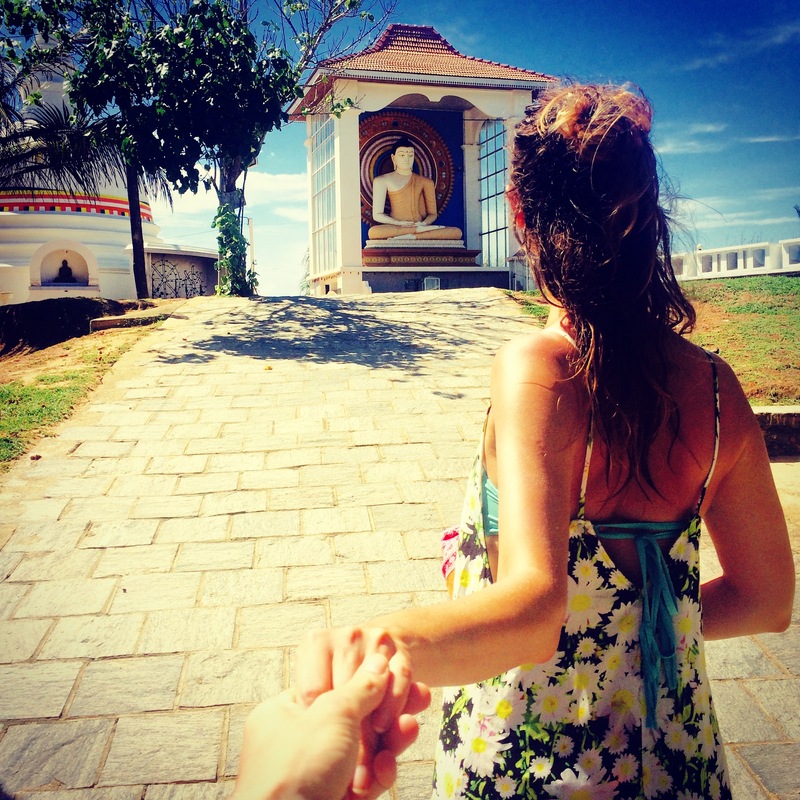 As the start you can book 1 night in Colombo and 2 nights in Bentota. Afterwards you can start planning where you would like to go next and how long your duration on each specific spot should be. Generally speaking people in Sri Lanka are very friendly and helpful, nevertheless be aware of Colombo’s rough side. Surely they would ask for higher tuk tuk prices everywhere, you should just inform yourself what is the average fare in the area. This is a standard everywhere in the world. I wouldn’t call Sri Lanka a perfect honeymoon destination as I found it on world wide web. There are doubtlessly many other places with more beautiful beaches, nature and lower prices. But it’s fine to travel around and explore the country. Just please don’t be antisocial and don’t throw your rubbish and cigarets on the streets. Be respectful towards our splendid nature and don’t forget you are a guest in a foreign country. Still searching for some travel inspiration: How about to visit Maldives on a budget? 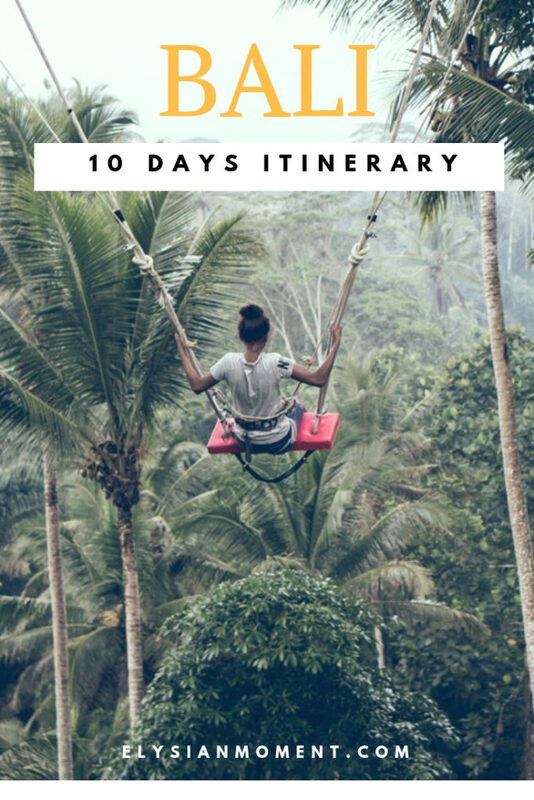 With 10 days in Bali you can be sure that you will have enough time to visit the best attractions in Bali. The island is unbelievably beautiful and has mysterious diverse culture and amazing atmosphere. It’s the perfect spot for backpackers who prefer to explore Bali on a budget. But luxury lovers will be also spoiled with fancy resorts and big swimming pools. Indonesia has indeed many choices. Many people compare Indonesia to Thailand or have a feeling that these two countries are similar. I need to clarify that point of view: it’s definitely not true. Both of these countries are contrastive regarding all aspects: food, culture, mentality, architecture and even nature. The only condition that we could compare is the weather: very humid and hot. 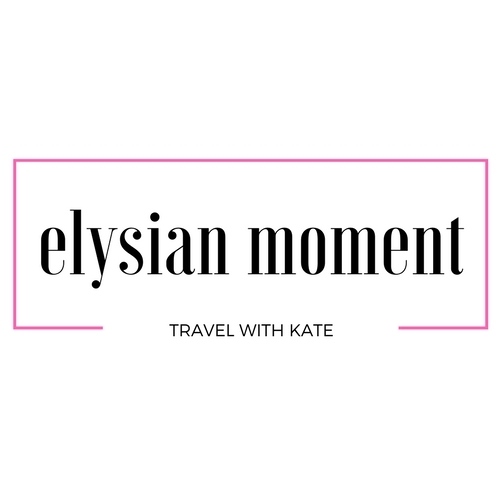 There is no need to take too many clothes with you to Bali and these tips how to pack light will be very useful for you! Furthermore Thailand has been attracting more and more people from Europe and Russia, Indonesia though is a very popular touristic place for Australians. Indonesia consists of different islands and the most famous and visited are Bali, Lombok, Gili Islands and Sumatra. The islands are incomparable to each other, because Indonesia has numerous cultural influences from various religions during it’s history. As a result each province has it’s own traditions, religion and even language. Although it has the largest Muslim population in the world. Despite the ethnic differences citizens of Indonesia have a strong group feeling, so they are very helpful and friendly towards everyone. Tourism makes up to 80% of Bali’s economy. Seminyak was our first destination in Indonesia. We decided to skip Kuta and everything what’s below, because we knew it will be full of drunk Australians. You can compare that part of Indonesia to Mallorca in Europe or Phuket in Thailand. So that’s why Seminyak was a great place to get away from the the whole hectic. It’s Bali’s sophisticated spa-resorts and shopping capital. Prepare your wallet because the area is full with trendy restaurants and long rows of designer shops. The prices are pretty high for an Asian touristic place, but it offers plenty of entertaining possibilities. Best place to stay in Bali in Seminyak is Villa Chandra. We really liked that place. Small, quiet resort with very welcoming and sympathetic staff. Our room had a lot of space and a big comfortable bed. The resort is not in the middle of the town, but everything is tiny in Indonesia, so it’s possible to reach the streets with main happenings in just a 10 minute walk. Furthermore it’s more interesting to walk around and explore the area. 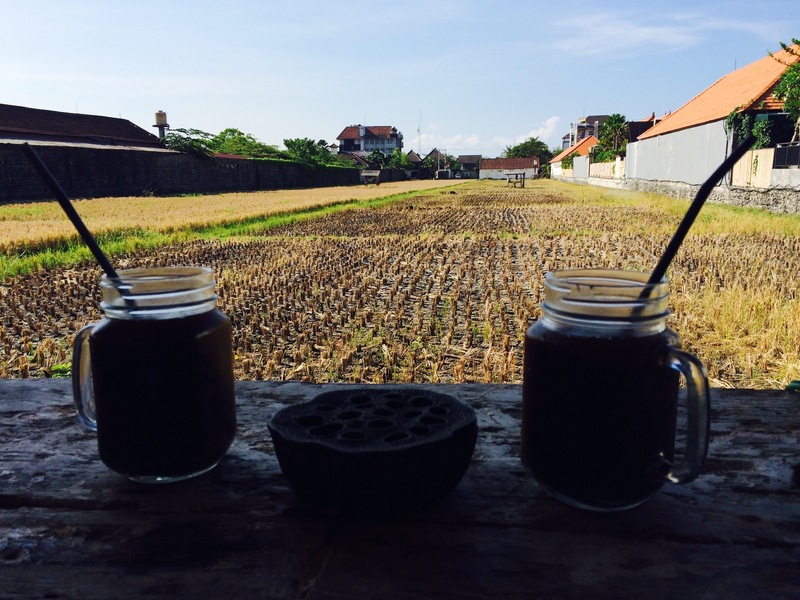 Just in front of Villa Chandra is a tiny café with local food and delicious coffee. The prices are very low and the taste of the food is delightful. You should undeniably try traditional Indonesian Gado-Gado dish there, but only if you are not allergic to peanuts, because it contains a lot of them! It’s a huge and tasty salad with an incredible peanut dressing served with crunchy prawn crackers. There are various possibilities to travel from A to B in Indonesia. One of them is very popular because of it’s flexibility and low prices: the scooter. Driving habits and rules of the locals are pretty atrocious though, it means there are no rules. Pedestrians cross the road whenever they want, road markings and traffic lights are ignored. Something is always happening on the roads, so it’s your own responsibility if you want to have an adventurous ride. Another option is to take a taxi. You can ask the same driver to transport you around your entire trip in Indonesia, so you can get a decent price. Although the best decision is to order a taxi via Uber. The prices are triple cheaper than normal taxis and via the App you can always see if there is an Uber-Taxi close to you. 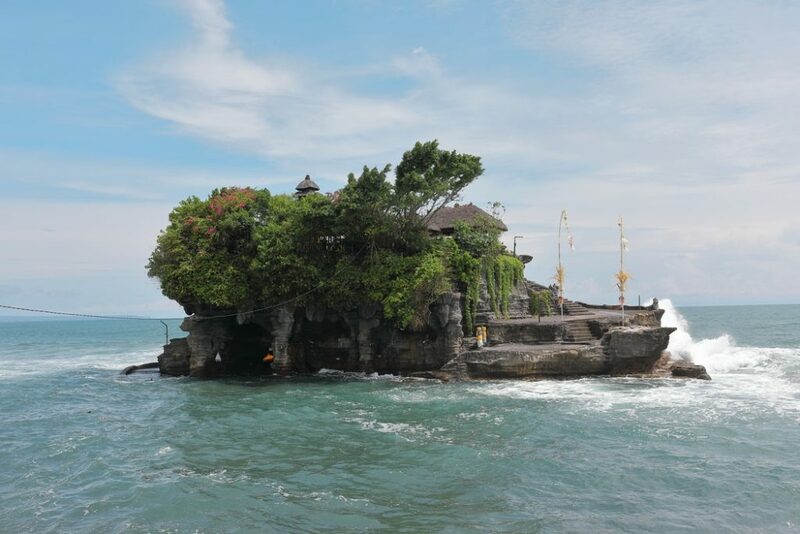 Tanah Lot Temple is one of the Bali’s important landmarks, popular for it’s offshore setting and beautiful temples. The temple is located in the Beraban village on the top of the rock. The best way to visit this iconic place and one of the Bali’s main attractions is on the way from Seminyak to Ubud. 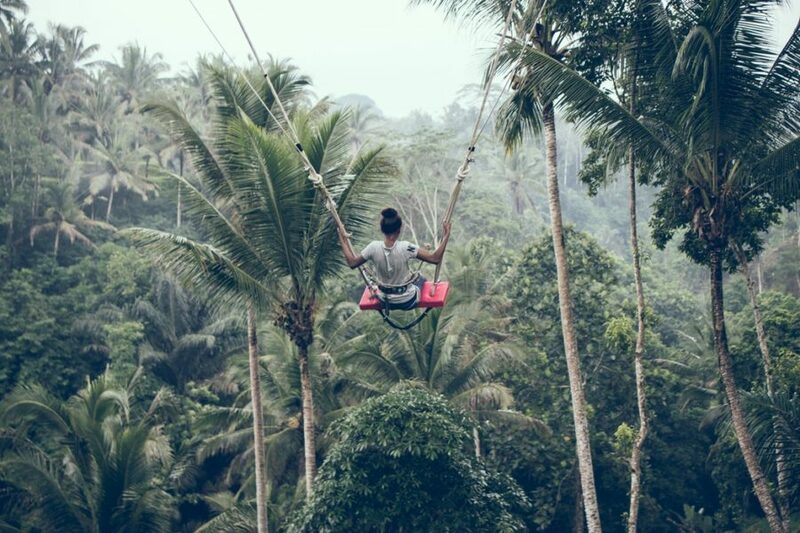 Best attraction in Bali is Ubud. This mysterious place can give you everything your free spirit craves: yoga, great food, wide culture, knowledge and friendly people. In the beginning of the 20th century many of european artists came to Ubud for inspiration and to learn traditional surrealistic wayang style. Ubud offers plenty of museums with a great selection of famous artists, like Walter Spies and Walter Bonnet. The combination of mystical myths, precise details and different techniques astonishes you again and again how magnificent art can be. ARMA museum offers a huge amount of Indonesian artistic treasures. If you want to learn about Bali’s cultural heritage, you should doubtlessly see exhibitions at ARMA. Museum Puri Lukisan doesn’t offer only a gorgeous view inside of the building with the secret gardens and stunning exotic plants but also modern paintings, among them you will also find paintings of the two Walters, Spies and Bonnet. Neka Art Museum is an ideal place for art lovers. The exhibition provides with the endless richness of Balinese art, history and culture. It’s a quite long walk from the town, but it’s worth it! 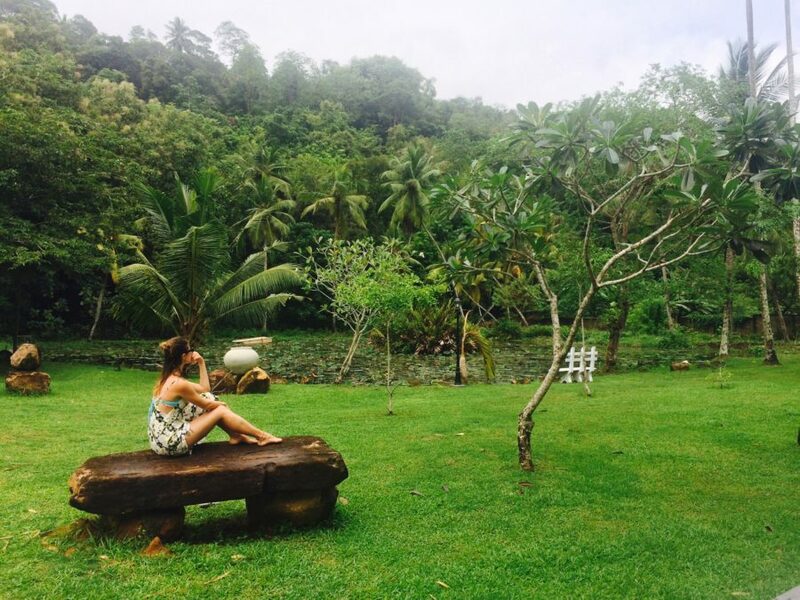 When we arrived in Ubud we were fascinated by the peaceful hippie atmosphere all over the town and in all resorts. We’ve changed a couple of sleeping places until we could find the perfect little utopia: Tungeh Inn, in the heart of Ubud. Very romantic, comfortable, perfect service,low prices for accommodation, so in one word: paradise! The backpackers can enjoy their staying in the cozy hostel In Da Lodge. Very clean and enjoyable place to sleep and also get to know friendly travelers. Ubud is surrounded by a trove of cultural landmarks and panoramas of beautiful rice fields. One of the most impressive archaeological sites is Goa Gajah, where you can discover temples and one of them is the magnificent 11th century Elephant Cave. The cave’s entrance shows a giant face with it’s wide opened mouth as an entrance. 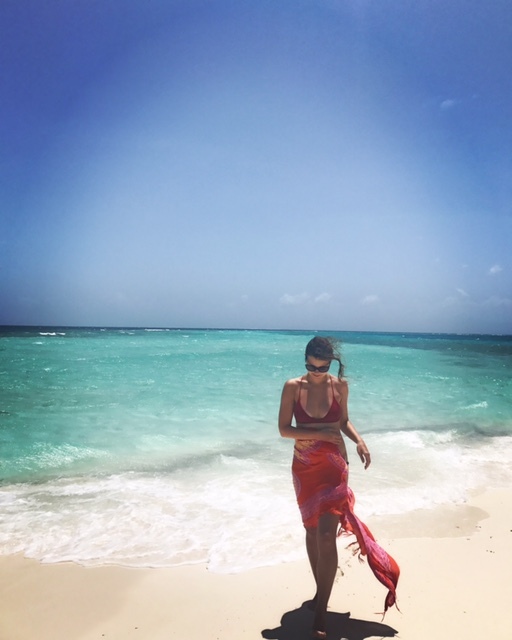 Important to mention is that you need to wear a sarong, so don’t forget to take your own, though you will need to buy one for a high price. 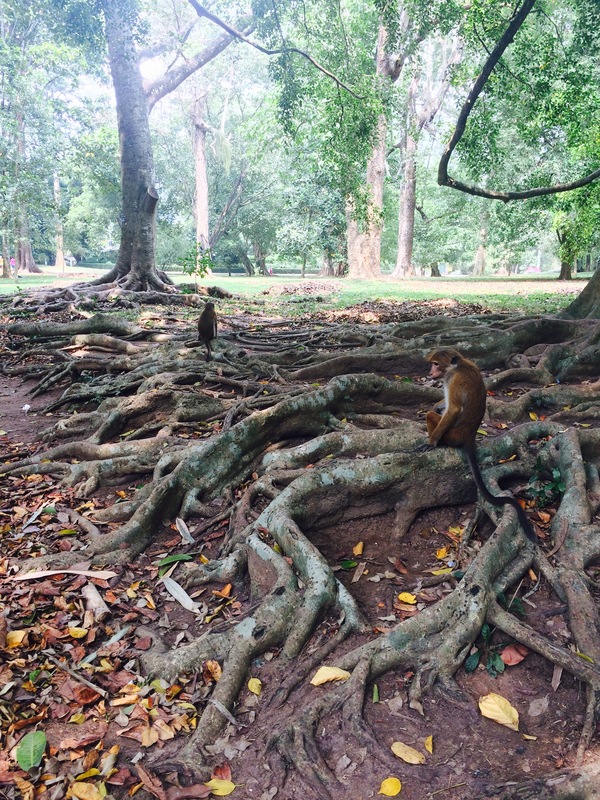 The best known place to visit in Ubud is the Monkey Forest full with cheeky grey macaque inhabitants. It is placed in the main centre of Ubud. 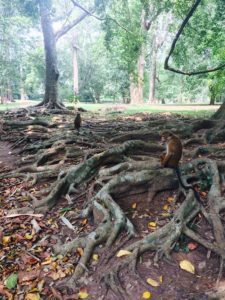 You can enjoy the view of the rainforest and the majestic temples, walk through the stunning pathways, watch playful monkeys. It’s very tempting to touch the cute monkeys, I advise you not to do it though. They are wild animals, some of them have big teeth, so it’d be better for your own safety to avoid a conflict with them. 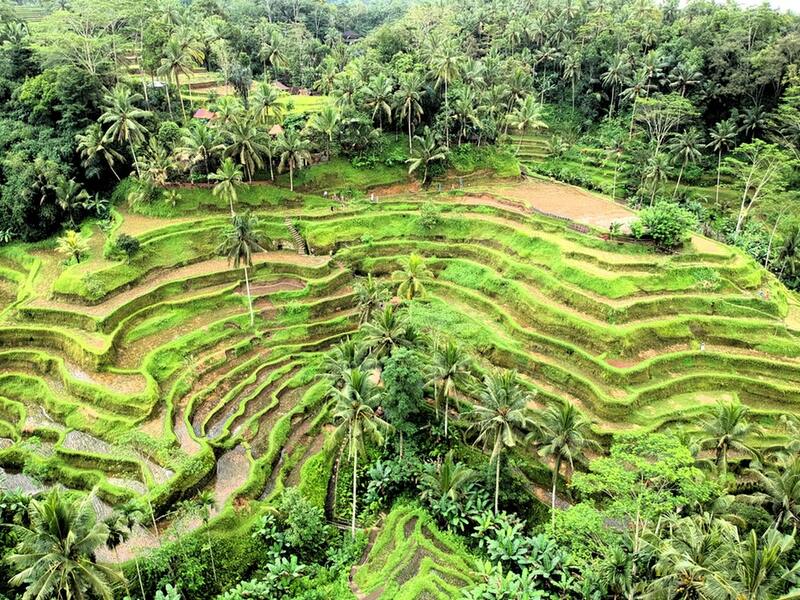 Several minutes drive away from Ubud lays a famous traditional region Tegallang Rice Terraces. It’s an ideal place to witness the beauty of the nature and to take a picturesque photo. Another thing to do in Bali is to visit a coffee plantation near Ubud, where you can try different teas and coffees and one of them is the most expensive all over the world, Luwak coffee. Luwak is an Indonesian tree cat that likes to eat coffee beans. These coffee beans are pretty hard to digest, so it excreted in the cat’s poop. The poop gets collected, washed, roasted and is ready to serve. The reason why Luwak needs to eat the beans is that the bitterness of the coffee becomes smooth after digesting. 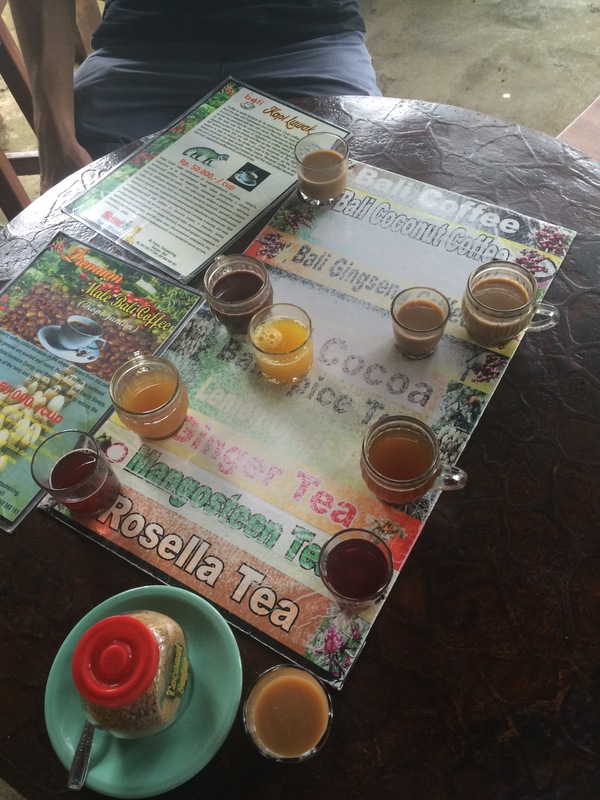 All in one you can experience the local way of roasting coffee and in the end even purchase Luwak coffee. Perfect souvenir for you or your family members. My Bali travel tip is to visit mesmerizing place Tirta Empul Temple, which is famous for it’s holy spring water. There you can face pools filled with holy water with healing powers. You should dive your head under each water stream and say prayers or your wishes. I’m still waiting for my wish to come true! The majestic mountain Batur located next to the Batur Lake. It’s still an active volcano smoking all the time, which erupted the last time in 1974. The crater is surrounded by many restaurants, so you can enjoy your meal and a mesmerizing view. Don’t expect too much from the food though. It’s typical touristic place, so the highlight in that case will be the volcanic masterpiece of nature. 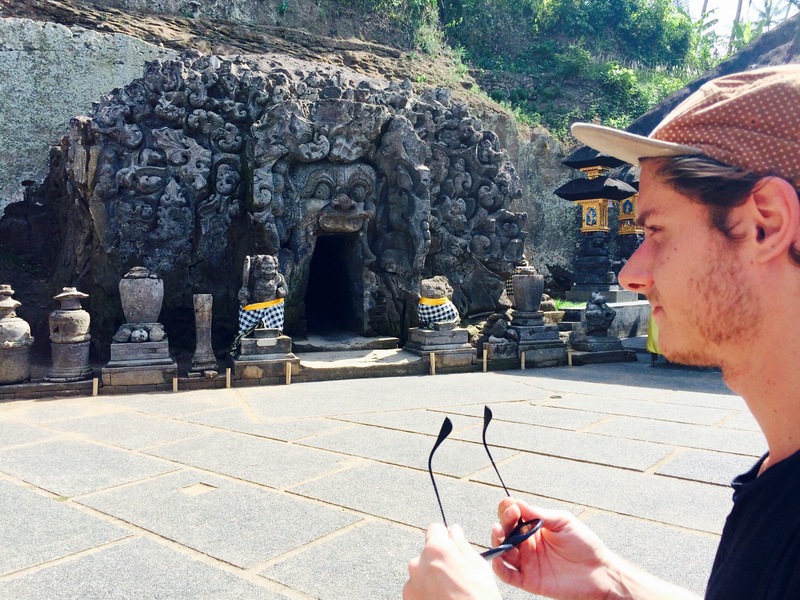 Not far from Ubud you can find the most famous and amazing temples of Bali. One of them is the largest temple of Bali, Puma Besakih. 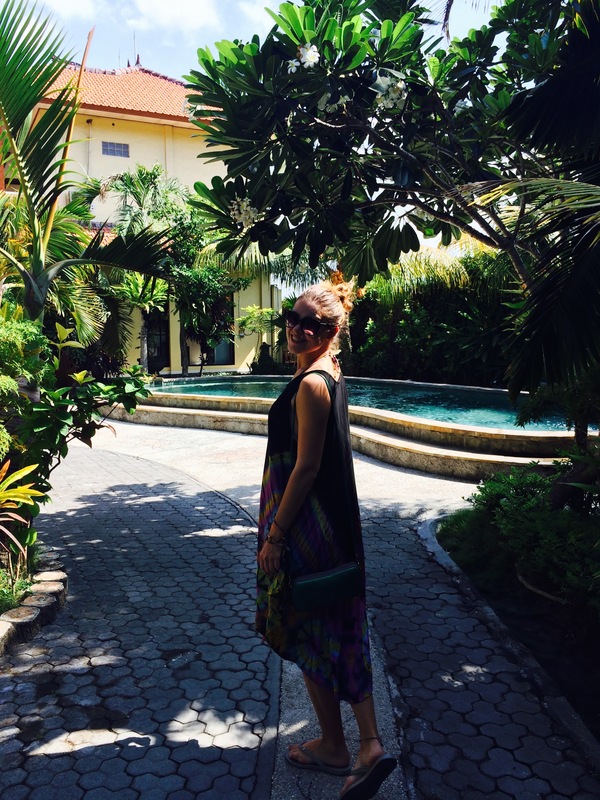 Take your Sarong to be able to walk around and admire the architecture. 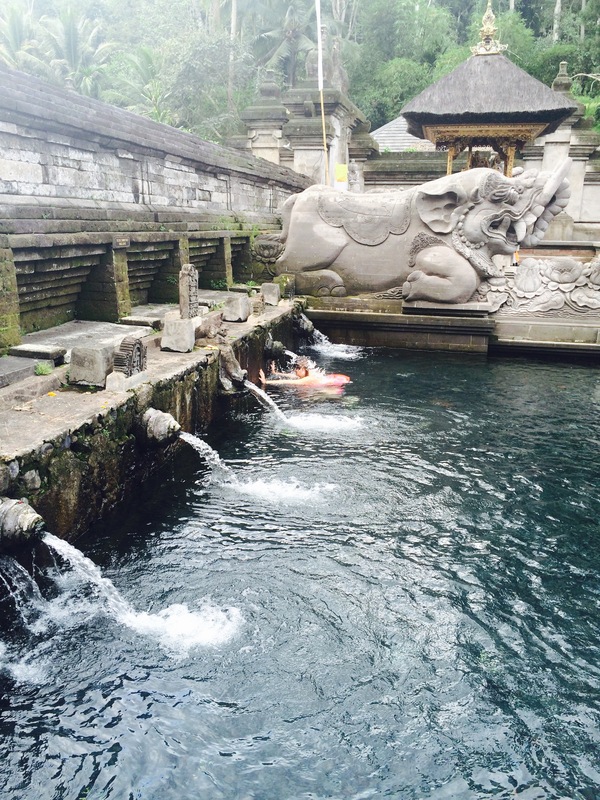 Tirta Gangga Temple is a water temple that used to be a royal palace. Here you will be able to see beautiful gardens, fountains and pools. Pura Luhur is another important temple that considered to be the most sacred temple in Bali. Unfortunately you need to hike around 1-2 hours to reach the shrines. 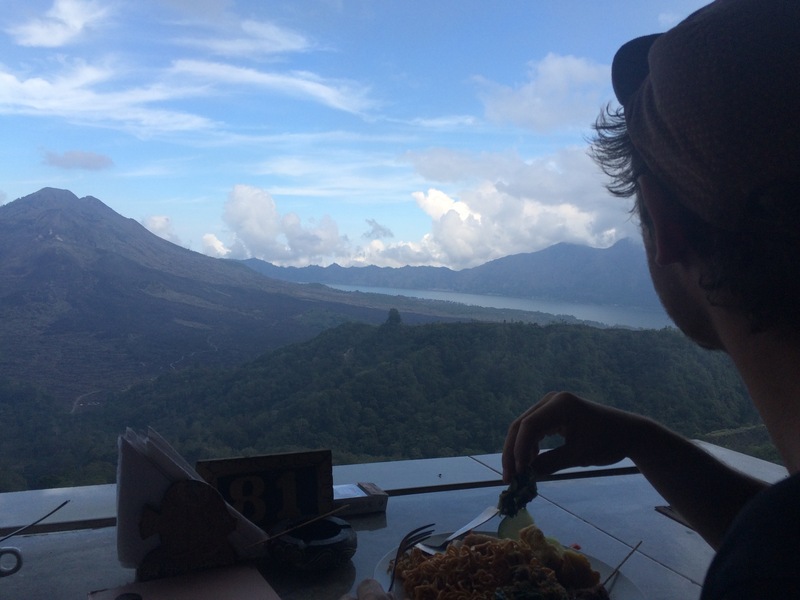 Nevertheless if you get to the top you will be rewarded with the breathtaking view – a gate that frames Mount Agung. 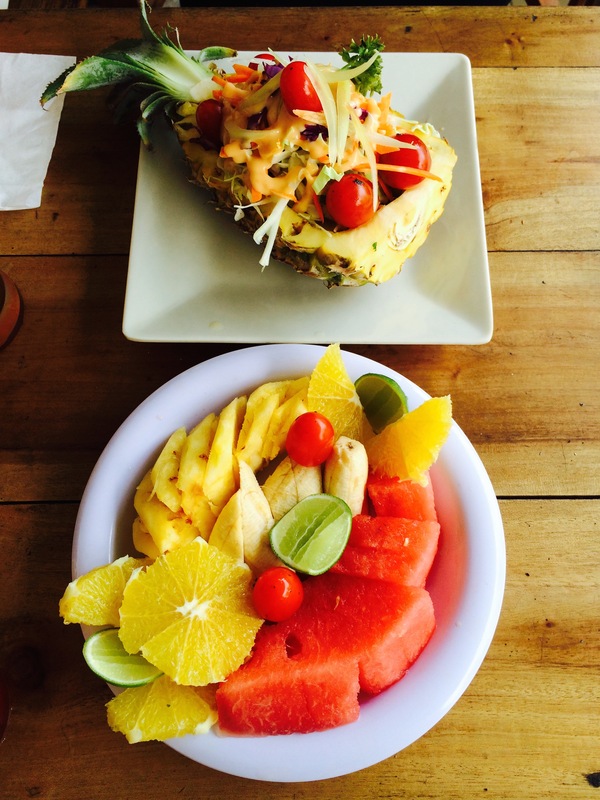 Food and drinks in Ubud are one of the best pleasures. First of all it’s important to mention that coffee in Bali is indescribably good and tastes differently then anywhere else in the world. The Balinese traditional way of serving a coffee is mixing hot water and fine grinder coffee directly in the cup. 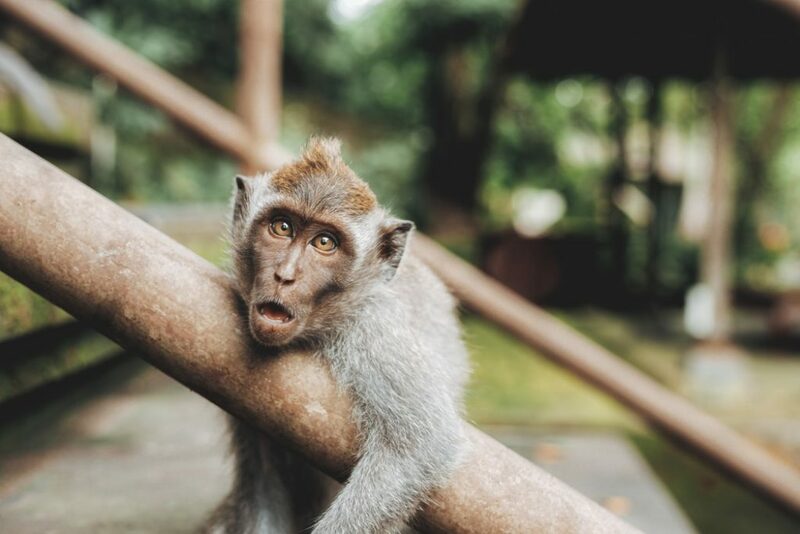 In the heart of Ubud you will find a street Monkey Forest Road, which is full with restaurants, an energetic nightlife and easy going, spiritual visitors. It’s an area where you can enjoy appetizing food, great music and interesting company. There are plenty of Balinese performances, festivals and rituals during the day and night. 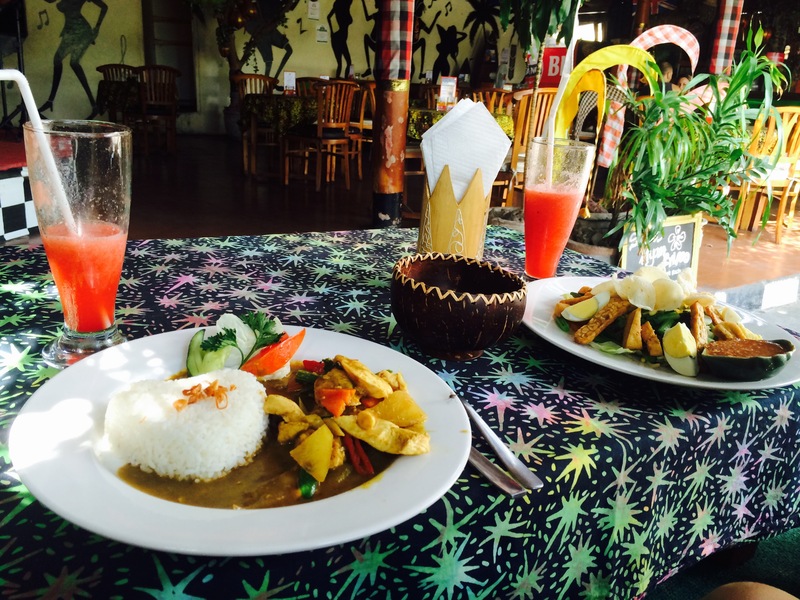 In that area you can find a good place try Indonesian dishes: Laughing Buddha Bar. Definitely try Gado Gado, Cap Cay or chicken sate. If you are searching for a perfect stay in Bali for couples and you want to escape reality, to enjoy a moment of tranquility, then I have good news for you. There is Crystal Beach Resort located in Candidasa in the rainforest, so you will be surrounded by exotic trees and singing birds. If a swimming pool is not enough for you and you need vitamin “sea”, then you can follow the little stairs to the water. The modern rooms are amazing and the beds are like clouds. There are also beach beds everywhere, which gives the environment a very relaxed and peaceful atmosphere. If you need to get rid of tense muscles then it’s possible to ask for a massage on the reception. So you will get a 1h massage on the beach for 4€. We’ve spent two weeks in Indonesia, which is absolutely not enough. There are too many gorgeous sights, natural treasures and cultural wealth to see. If you’ve been somewhere else, please share your experiences with the cyber world and just write a comment! Because I’m doubtlessly going to visit that country again! 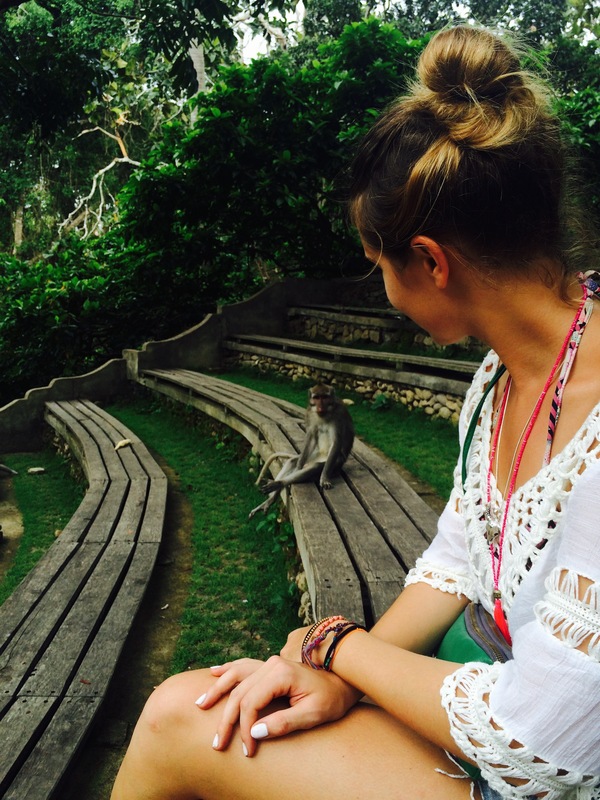 So if you are planning your trip to Bali now here you will find all necessary info!